Happy holidays! My friends and I recently had our long-running obscure holiday cocktail party - the 7th annual gathering (insert many exclamation points here). It really does blow my mind - in a warm fuzzy way - that I've been living in one place (that I love) having this same themed holiday party with the same group of people (that I love) for seven years now. We started with obscure holiday cocktails (Vol. 1), meaning historic holiday cocktails, but as you can imagine, we pretty quickly exhausted available recipes. Then we switched to holiday cocktails, but predictably those turn out to be pretty terrible, relying on green liqueurs and a lot of peppermint flavor. We finally evolved into creating original cocktails for the event, and it's here that we've seen the most success. This year, all of the drinks were hits. We started with a light sparkler, perfect for a party - easy to make and light on the alcohol. 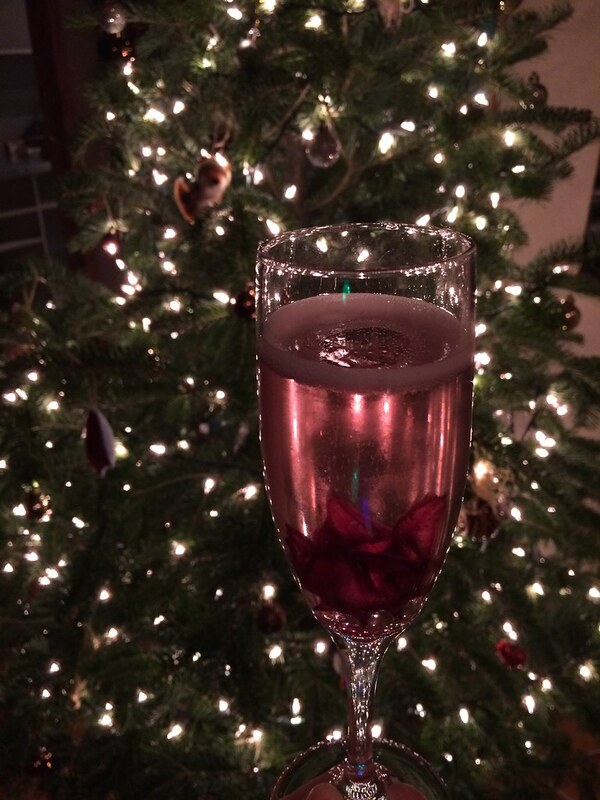 It's a riff on a Kir Royale with St. Germaine (an elderflower liqueur), sparkling wine, and hibiscus flowers. Jay of Finest Kind Modifiers & Mixers made it, so it contains a splash of his green tea hibiscus concentrate (available in Portland at Vena's Fizz House and Whole Foods). 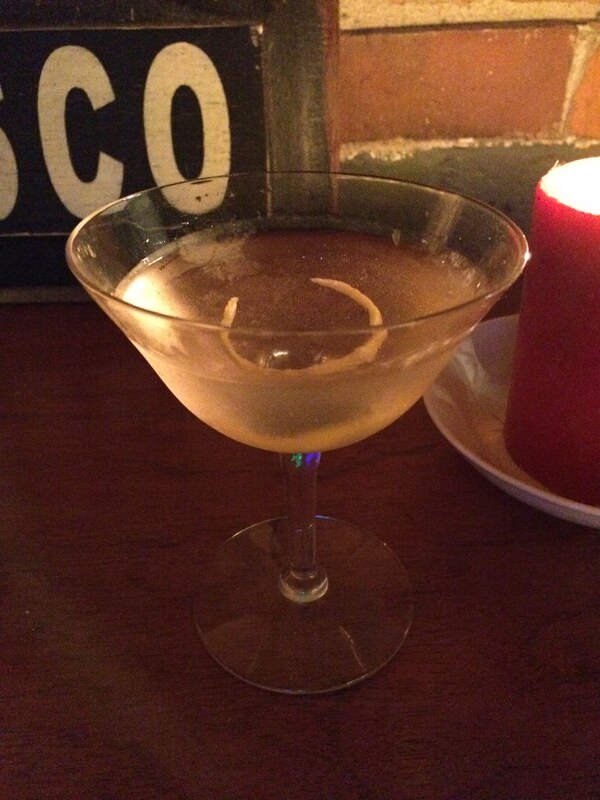 Dawn made the Christmas Rose, a riff on a drink served at The Honey Paw. It contains a rose liqueur, adding a subtle floral taste, which complimented the Bombay Sapphire. 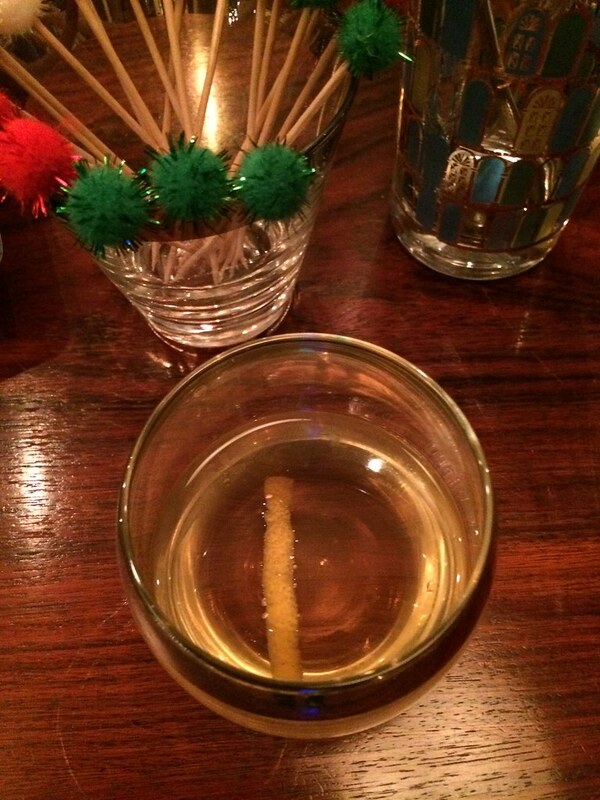 Prof. A's drink was thoughtfully sourced, using as many local ingredients as he could find, as is his usual approach. He used honey from his beehives down in York County, which in 2013 made a lighter, brighter flavored honey and went well with the Cocchi Americano and the sweetness that aging imparts to the gin. R. made a cocktail using Genever from her and S.'s trip to the Netherlands this year. R. reported that most of her attempts to use it in a cocktail tasted like "poop," so she ended up with a fruity cocktail that hid the Genever's flavor. Garnish with a cherry and an umbrella. My drink was a replica of the Whiskey Paramour that A. and I enjoyed during our visit to The Velveteen Habit in Ogunquit. It's smoky from the Scotch, but the citrus juice and liqueur mediate the flavors and meld nicely. Combine all ingredients in a cocktail shaker with ice. Shake, strain into coupe. Garnish with a dried orange slice or twist. Of course, all of the cocktails had expert cheese pairings from S. who slings cheese at Whole Foods. 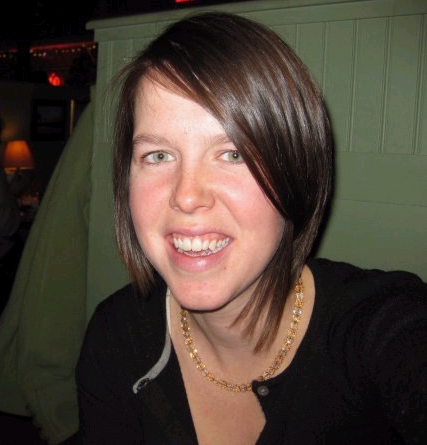 She's leading a cheese and beer class with Allagash next Tuesday if you're looking for holiday advice. 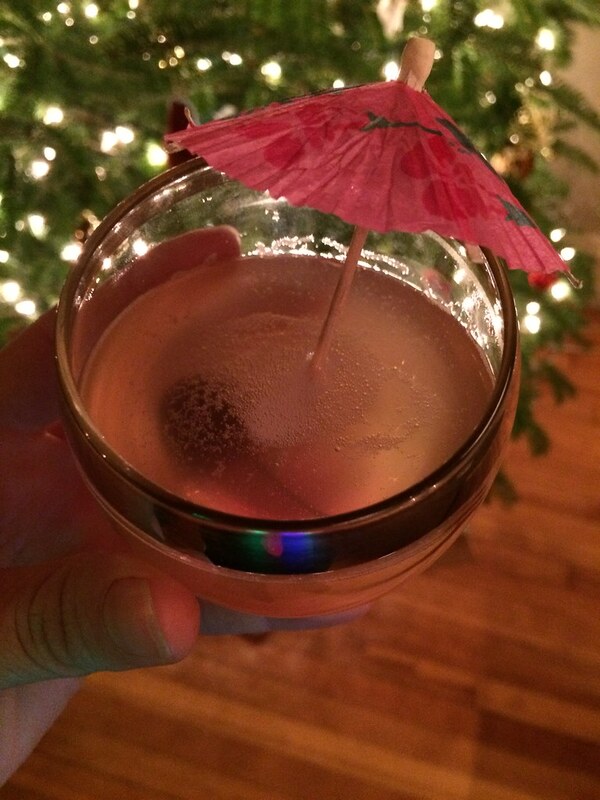 See the recaps of volumes 3, 4, 5, and my punch from last year for our other winning holiday cocktail recipes. And most of all, enjoy your holiday!! 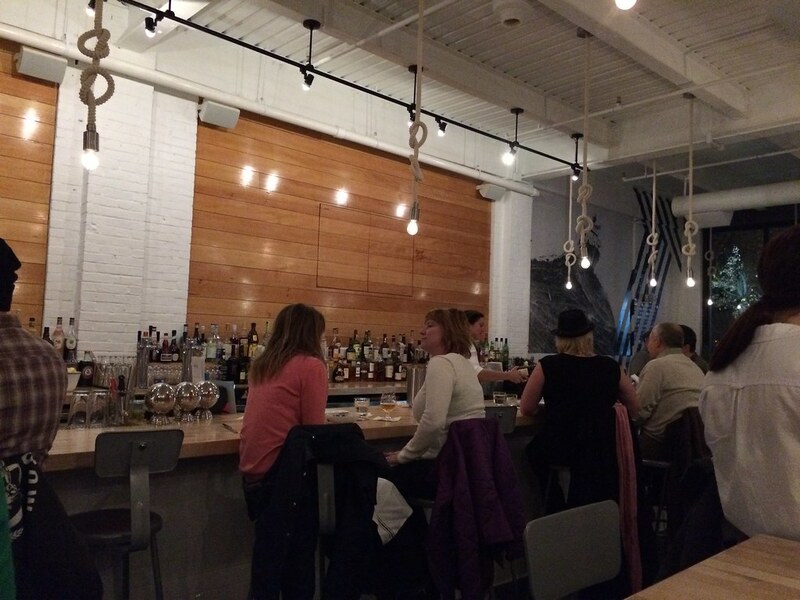 My East End neighborhood is hoppin' now - with the addition of Oxbow, Maine and Loire, Terlingua, and now Roustabout, the bottom of Munjoy Hill has become quite the destination for eating and drinking. I've fallen out of my habit of making every new restaurant's opening night - Professor A. and I were on quite the tear there in 2014. So even though it's been open for a month now, I hadn't made it down to the neighborhood's new Italian restaurant. But I went earlier this week for their happy hour - Tuesday through Friday from 4-6pm and again late night from 10pm-12am. The specials feature $5 red and white wines, a $5 cocktail, and a $3 beer. Happy hour snacks are inexpensive too - there were 5 dishes for $5 each. The restaurant is surprisingly large for Portland and decked out in a jaunty nautical theme. I was instantly won over when the server placed our napkins on the table with nautical flags printed on them (the red and yellow triangles fit together in a square is the symbol for "O"). The special cocktail was a Sazerac and while I was tempted by the Painkiller and the Pamlico on the regular cocktail menu, I can't resist a deal, so I went with a Sazerac. We ordered snacks: the ricotta and pepperonata, chicken liver, and marinated mushrooms, only passing up a panini and chips and dip. 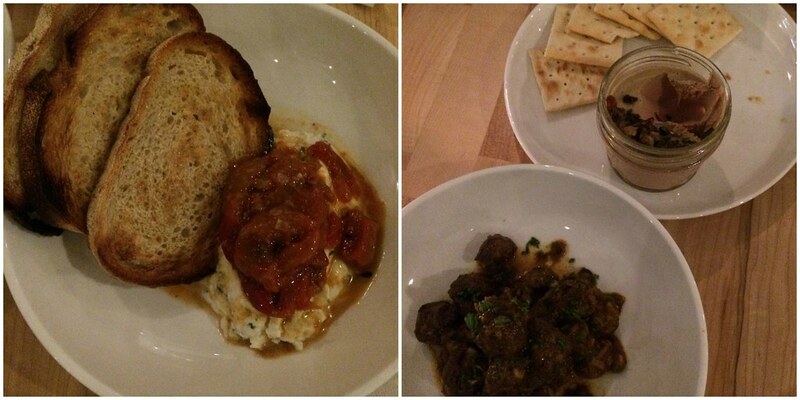 The chicken liver was my favorite, with salty fried capers a nice contrast to the rich, smooth liver spread. We needed more crackers to finish off our hearty portion. The marinated mushrooms seemed to be full of love 'em or hate 'em flavors - very tangy from the vinegar and full of smoked paprika (a friend told me). The combination was intriguing, and I kept returning to the dish, not sure if I was in the "love" or "not-for-me" camp. The hearty snacks sufficed for dinner, so under the guise of "just looking," I accepted a dessert menu. 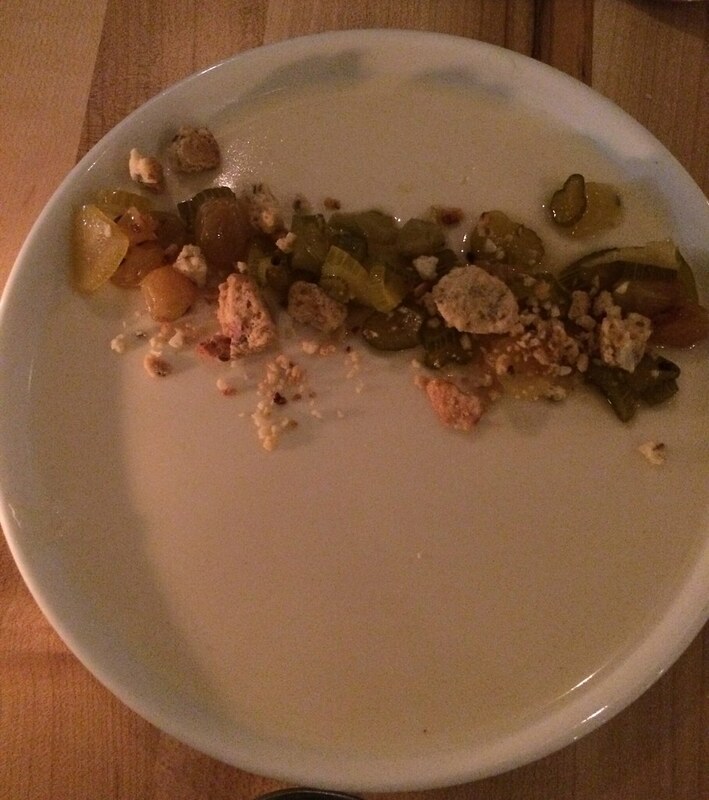 I ended up ordering a panna cotta topped with candied fennel and crumbled biscotti. 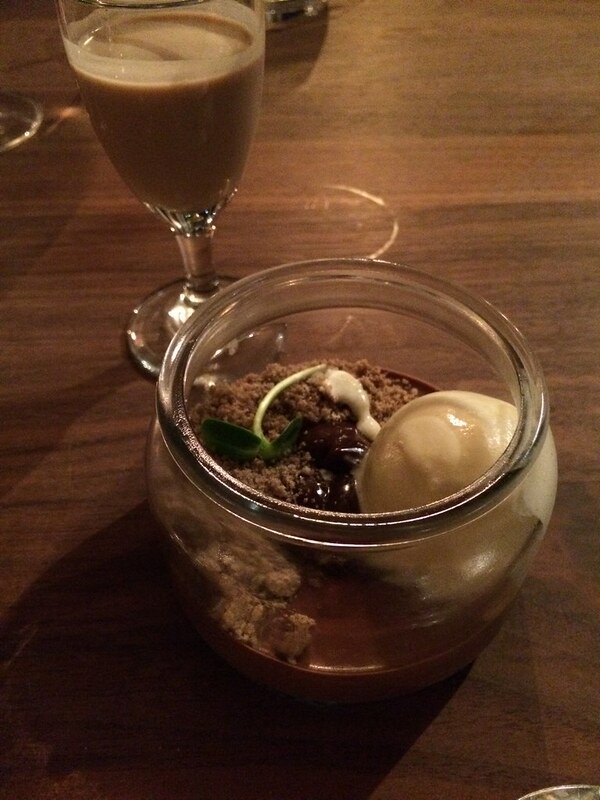 The panna cotta reminded me of the cream top on my yogurt - smooth and rich. White candied fennel certainly isn't for everyone, I like its strange flavors and the crunch the biscotti added. The restaurant began to fill as we enjoyed our happy hour, even though it was early in the week. It seems as though everyone is excited to check out the new place. The service was friendly and relaxed, since we were clearly in no hurry and enjoying our drinks and food. 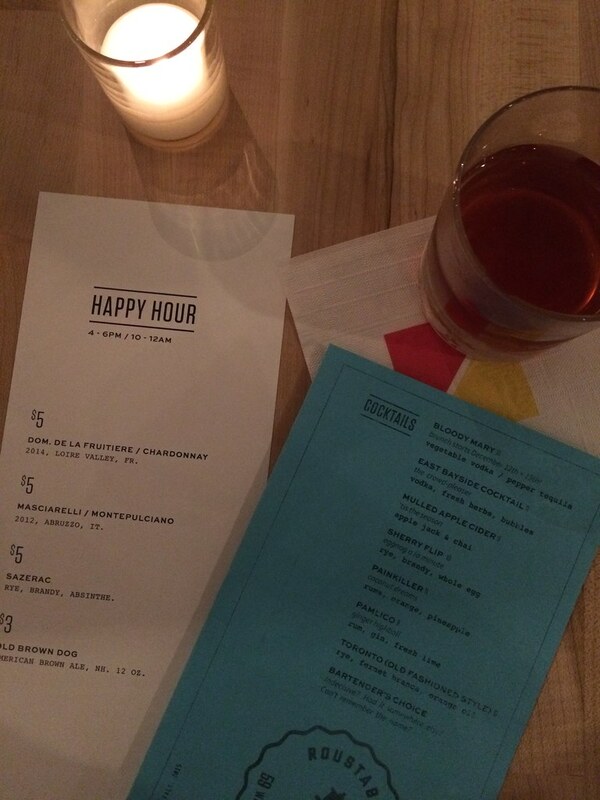 The dinner menu is a bit pricer than happy hour, of course. I enjoyed the lasagna, garlic bread, Caesar salad, and tiramisu at the pop-up dinner Tandem Coffee hosted a few months ago and have likewise heard good things about the rest of the menu. But happy hour is a nice way (my favorite way!) to try a restaurant without dropping a pretty penny. I'm a huge fan of the drinks-and-snacks approach. Check out nautical Roustabout for your next happy hour - it feels particularly festive at the holidays! 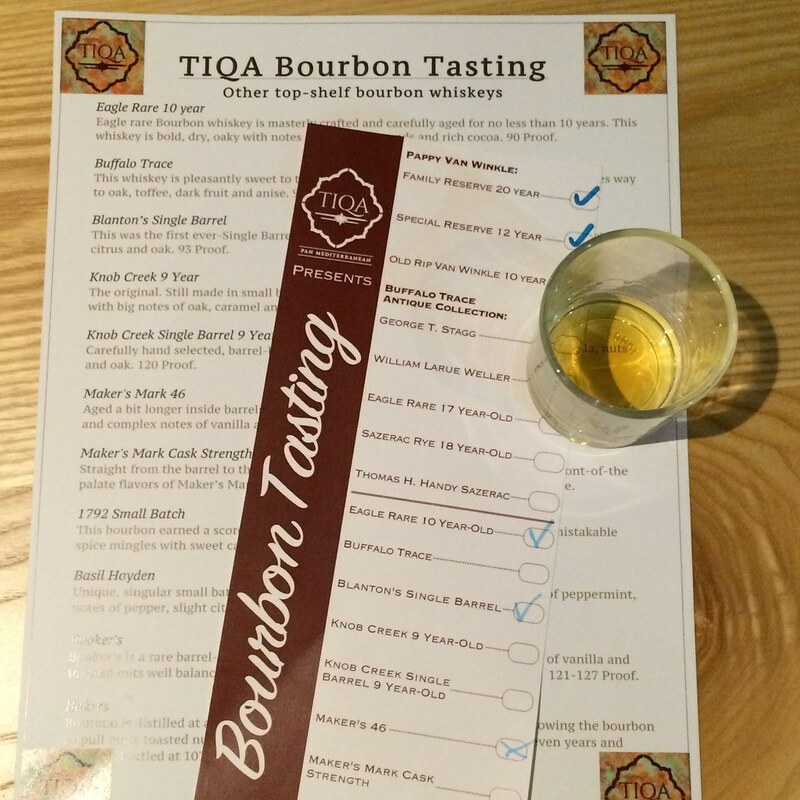 I went to a Bourbon tasting at TIQA two weeks ago, after giving a book talk at a retirement community in York (where I was regaled with drinking stories from the adorable elderly crowd). The event was held in a private room at TIQA, past their large dining room, and was set up much like a beer festival. 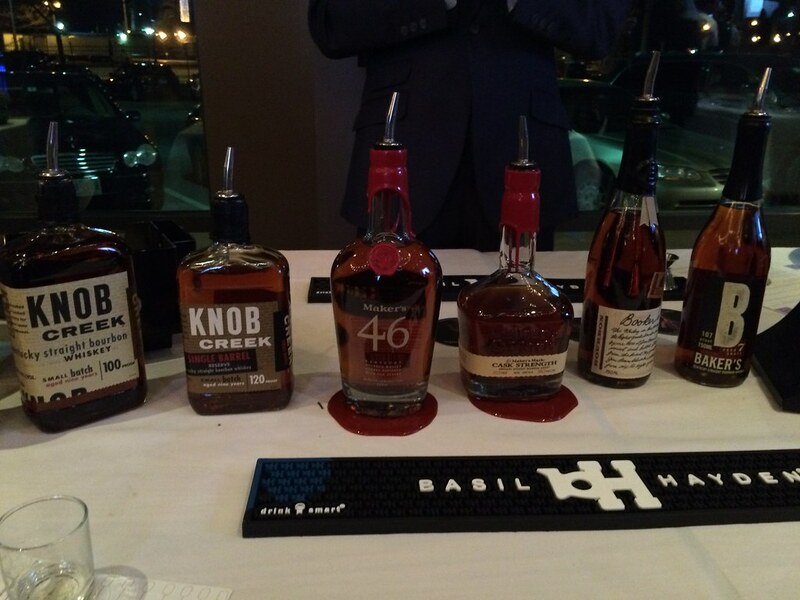 The only misstep was that all the high-end Bourbons were at one table all together and so a big line formed. But that gave me plenty of time to talk to people I probably wouldn't have otherwise while waiting. The featured Bourbons were all from Sazerac and Jim Beam - I know there's many listed above, but check out this family tree of Bourbon from the King's County Distillery Guide to Urban Moonshining and you can see that, despite the variety, they're all from two parent companies. I tried five tasting pours, knowing I couldn't handle much more than that - props to anyone who was able to make it through all 19 available. I started with the Maker's 46, described in the tasting notes provided as aged in barrels with seared French oak staves with intense flavors and complex notes of vanilla and caramel. The "46" comes from the original trial number which the distiller aged a bit longer. Still not willing to brave the line for the high-end stuff, I turned to the neighboring table for some Eagle Rare 10 year. My intention was to compare it to the 17 year at the other table, but once I got to the front of the line, I just went for the Pappy (obviously). The 10 year was drier than the Maker's 46 with a richer flavor. I snagged a sample of the Blanton's Single Barrel to sip while in line, enjoying its sweet, citrusy taste. It's really interesting how wide the flavors within the world of Bourbon can be. 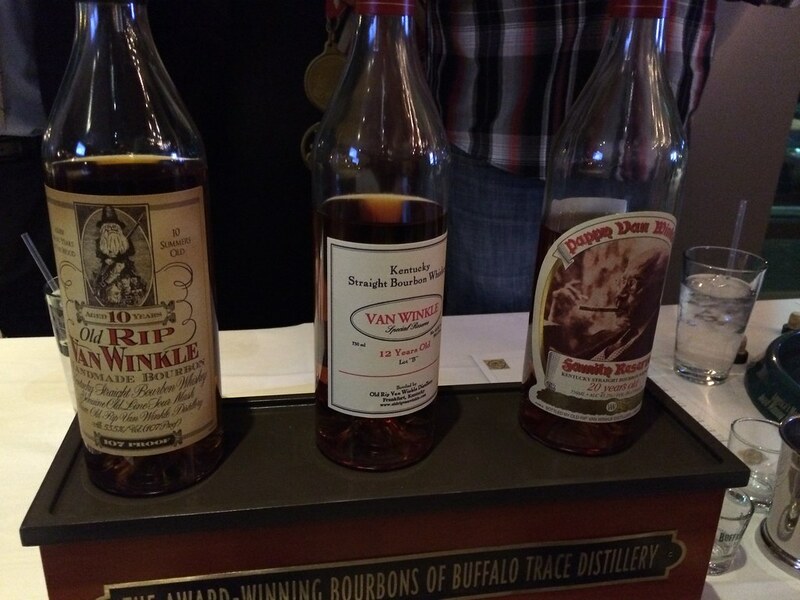 Pappy Van Winkle has quite the following, making its bottles hard to find, so I was excited to try the 20 year. Fortunately (for my wallet), the extra years made it a bit too richly flavored for me, and I enjoyed the 12 year more. (The 10 year is bottled at cask strength, and I've found that the higher alcohol content isn't for me). While I'm not sure of these Bourbons' availability here in the state (check Maine Spirits for availability or ask your liquor store to order you a bottle), I do know that TIQA has the remainders of these bottles -- including the Pappys -- on their shelves. 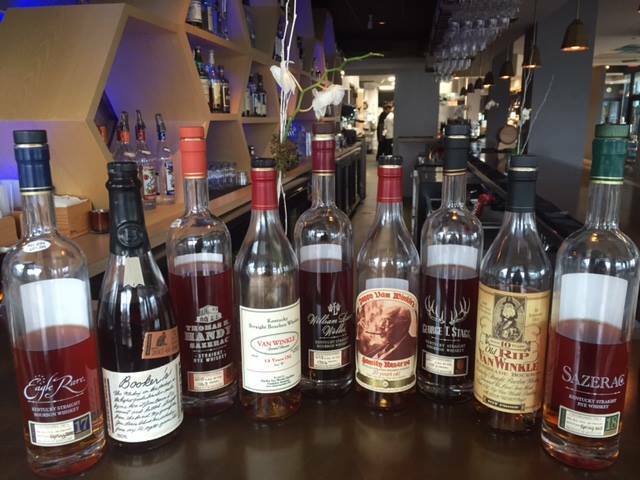 So while supplies last, you can catch some of these fine Bourbons at TIQA's bar, in addition to their regular selection (which includes Nikka, a Japanese whiskey). I attended this event as a guest of TIQA's. I did not receive any compensation for this post, and the opinions and copy contained wherein are mine. Last Tuesday was the much-anticipated tiki party at Bramhall, acting as a preview of Rhum, the new tiki bar from the owners of Bramhall and Nosh. I hope you were able to make it, because it was a blast. Bramhall is the perfect place for a subterranean tiki party on a cold, rainy December night. If you couldn't come, no worries, Rhum will be open early next year, which will be the perfect time to cozy up and enjoy some tropical drinks and amazing seafood snacks. 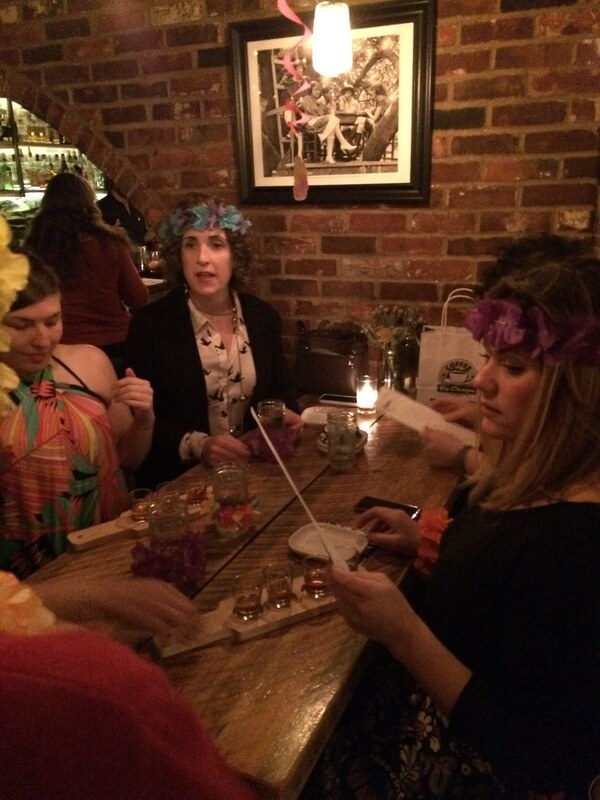 The party started with a special ladies-only rum tasting for the women of the Portland Spirits Society. Kevin Clarke, the liquor rep, led us through a tasting of four aged Mt. Gay rums: Eclipse, Black Barrel, Extra Old, and 1703. They ran the gamut from smooth and sippable, smoky and Bourbon-like, and spicy and strong. We were treated to a preview of the menu during the reception - starting with a great spread of cheese and charcuterie. Next came the Two Island Creek oysters, stacked on a silver sea turtle tower filled with crushed ice, then bites of Mahogany clam ceviche with avocado, tomato, and tortilla chips, resembling guacamole. My favorite was the hamachi crudo, small spoons filled with squares of fish, daikon radish, and apple and a sesame vinaigrette. The tender pork spare riblets, served over slaw, were a hit, as were the toasts covered with chicken liver pâté and a tamarind shallot chutney. Once our pre-party was over, the place was packed and the tiki drinks began to flow. I tried a frozen painkiller (rum, coconut, pineapple, nutmeg) that was delicious. Others enjoyed mai tais, jungle birds, and fogcutters, all topped with orchids, plastic monkeys, and other festive tiki decorations. The party surely went late into the night, but after we chatted our friends, we slipped away to enjoy more snacks at nearby Boda. Many thanks go to the team at Bramhall and Rhum for organizing this event. 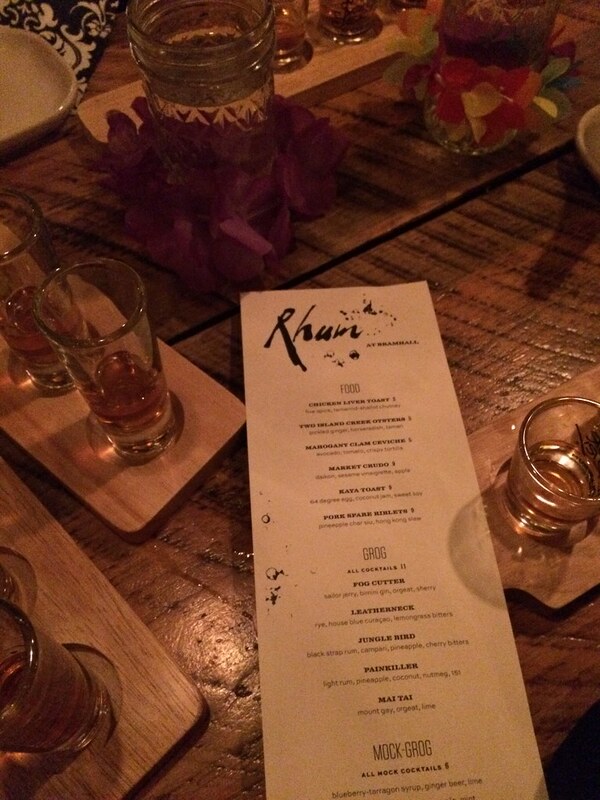 Rhum is definitely my most-anticipated opening of 2016! Forgive me, I think the (somewhat tired) trope of drinking to handle one's family on the holidays is still funny. Maybe because I don't actually need that particular coping mechanism with family (and I'm not seeing them until Christmas anyway). But regardless, whether you love or hate your family, having a quick go-to cocktail will come in handy next week. Discovering that I can make a really good margarita at home came about earlier this week, when, wanting a cocktail, I "meh"ed my way through all the possible mixers on hand: ginger beer, Coke, tonic water... I wanted something fancy that didn't require oddball ingredients that I likely didn't have. Knowing I had a full bag of limes in the fridge, I thought I could bluff my way into a semi-decent margarita. 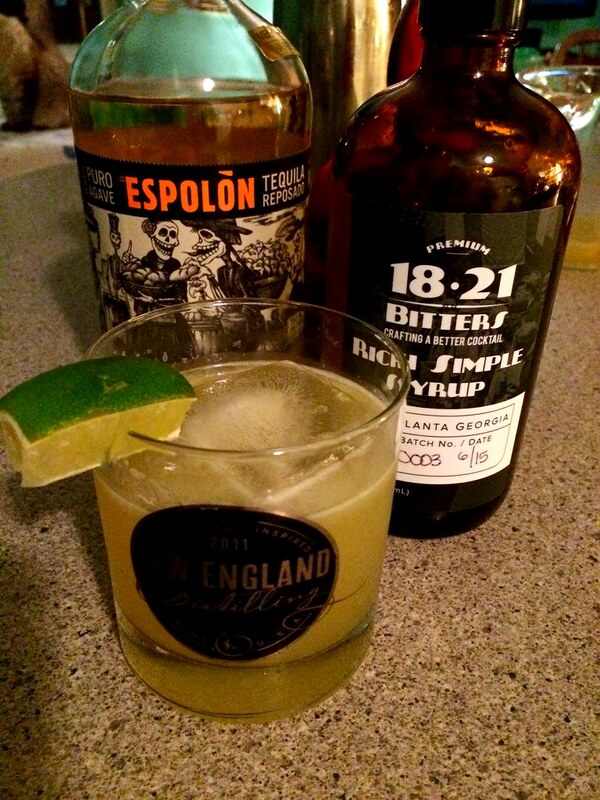 So I went into the wayback machine and reviewed this post from the tequila mixology workshop at David's in Kennebunkport this spring. The secret I discovered there? A recipe for margarita mix. Ah-ha! It's the difference maker between a serviceable, but lacking, homemade margarita and one of restaurant quality. Making the mix is easy enough; it's near equal parts of fresh squeezed lime juice and simple syrup, and a splash of OJ. The recipe I had made a few cups of the stuff, so I thought reeeeeal hard (my last thinking of the day before cocktail hour!) and scaled it back to a recipe that makes 2 cocktails' worth. The simple syrup might be the only hiccup in your home bar game: either you have the stuff on hand or you have to spend ten minutes making some and waiting for it to cool. I scoured and found this Thai Tiki 1821 Bitters simple syrup, but also have a great stash of the Royal Rose flavored simple syrups that would work well too. Assuming you find one that goes with the general flavors of a margarita (pineapple, lemongrass, and bird's eye chiles? Sure, why not! ), you are good to go. Bonus: today is the release of Liquid Riot's agave spirit, which is also available in the bottle at area liquor stores. So pick some up to put a local twist on this tropical drink. Combine all ingredients in cocktail shaker over ice. Shake and strain into rocks glass filled with ice and rimmed with salt (optional). Garnish with lime wedge. Every so often, I organize a happy hour meet-up for Portland food bloggers and writers. I'm always searching for a good venue - one that can accommodate a big group coming and going, which, with Portland's tendency towards small buildings, is one that's hard to find. Of course, it helps if the place tends towards the "foodie" to assuage the demands of the bloggers (just kidding, they're not demanding at all). In the past, we've gone to Salvage BBQ and Bayside Bowl, and this time, I hit on Ebb & Flow as the perfect spot for our most recent gathering. I am shocked (shocked!) to find that I haven't written about my love for the new-ish Mediterranean place here on the 'ole web log. I had dinner with Professor A. there for their opening a year ago and very much enjoyed it. I've gone several times since for drinks and snacks, always getting the flatbread with dips - if you ask nicely, the servers will make a sampler plate of all four of their dips. The dips (or mezze) all full of flavor - there's the htipiti (whipped goat cheese with chiles and tomatoes); taramasalata or whipped roe; revithia, a green humus; and melitzanosalata or an eggplant and sweet pepper dip. The dips come with a flatbread, drizzled with olive oil and sprinkled with savory spices and salt. Other hit menu items perfect for happy hour are the zucchini fritters, the lamb keftedakia (aka meatballs), and the beet and ricotta salata salad. During happy hour, the drinks are discounted - there's beer, wine, and well cocktail specials, and two specialty cocktails for $5.50. I enjoyed a whiskey sour: Old Overholt Rye, lemon, simple syrup, egg whites, and bitters. The other option was included mezcal, Campari, and something coffee-infused, but unfortunately no one was brave enough to order it over the crowd-pleasing whiskey sour. The cocktail menu is certainly a creative one, making Ebb & Flow a nice place to join a friend for some snacks and a cocktail before dinner. Happy hour runs from 4-6pm, Monday through Friday. If it's possible, I am the MOST excited about this next Portland Spirits Society event (new to the PSS? It's ladies who love booze - tastings, education, social, fun). I've long wanted to throw a tiki party at a Portland bar, and when I heard Jay Loring of Nosh and his business partners were launching a tiki bar, I knew they were the perfect people to talk to. Their new bar is called Rhum, and the chefs are Rebecca and Frank Anderson, who hosted the Hunter's Bend supper club for a while. So the tiki party is happening at Bramhall - the perfect underground, speakeasy-esque space to decorate with palm trees, torches, and flowers - on Tuesday, December 1st. The ladies of the Portland Spirits Society will get a private, VIP reception before the tiki party starts, with a tiki rum flight, snacks from the chefs, and a meet-and-greet with the owners and chefs. 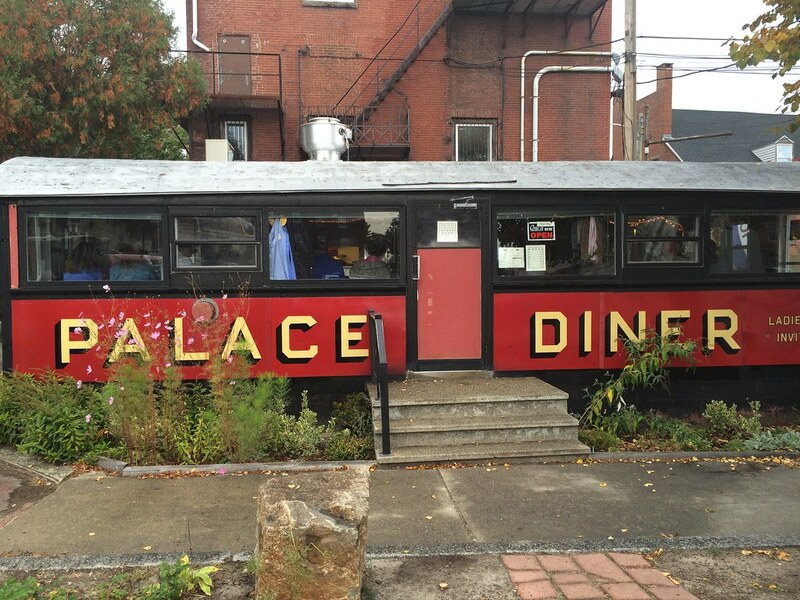 Many a love song has been sung to Palace Diner in Biddeford, the resurrected dining car from Chad Conley and Greg Mitchell, chefs formerly of Gather in Yarmouth and Hugo's in Portland. What makes Palace Diner's food so special is not (for once) a "creative take on classics," but rather just that they nail the classics every time. 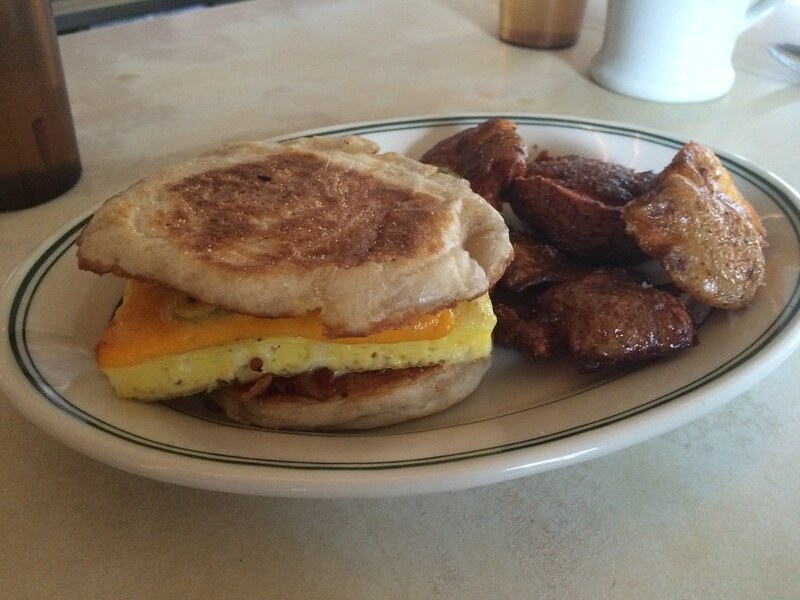 The menu consists of traditional diner dishes: eggs, toast, corned beef hash, huge pancakes, tuna melts, burgers. And each and every one of those items is very likely to be the best version of it that you've ever had. Palace Diner is only open during the day (there was a brief stint of dinner service, but that ended shortly after it began), and the diner car only contains 12 or so stools at a counter. So if, like me, you have a day job, that means you're relegated largely to breakfast or lunch on the weekends, and there's frequently a long wait. 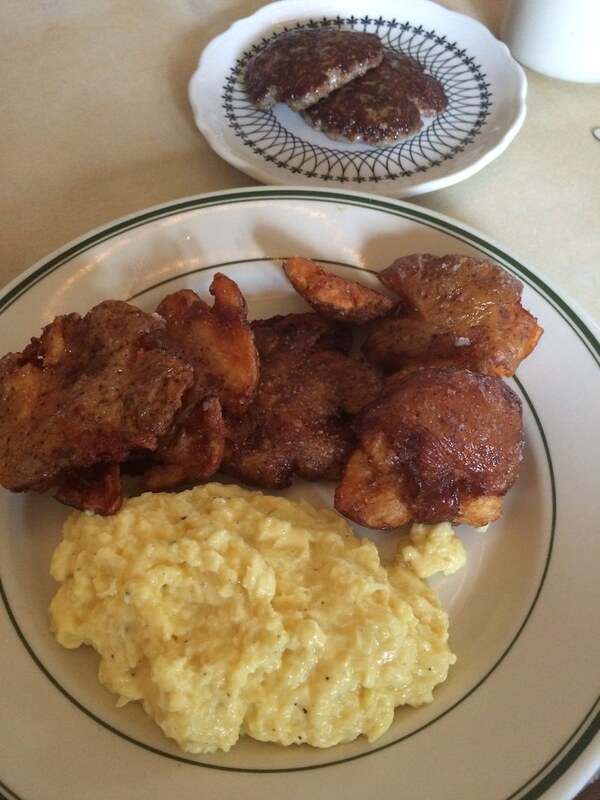 Hence, the secret to dining at the Palace Diner: go early. For any trip out of Maine, I've started it off with what is quickly becoming a tradition - stopping for breakfast at the Palace Diner. And a good road trip usually starts early, so you can be the first customer through the door of the Palace Diner at 8am. With their quick service, you can be back on the road before nine. It may seem simple, but if you can beat the hordes of sleepy kids down to Palace on a weekend, you won't end up waiting for an hour in the parking lot, but rather be feasting on the Deluxe sandwich, a breakfast sandwich of eggs, cheddar, and jalapenos on an English muffin. And no visit to Palace Diner is complete without some of their French toast. It's available as once slice or two, and I usually order a slice to share. It's hands down, the best French toast I've ever had. 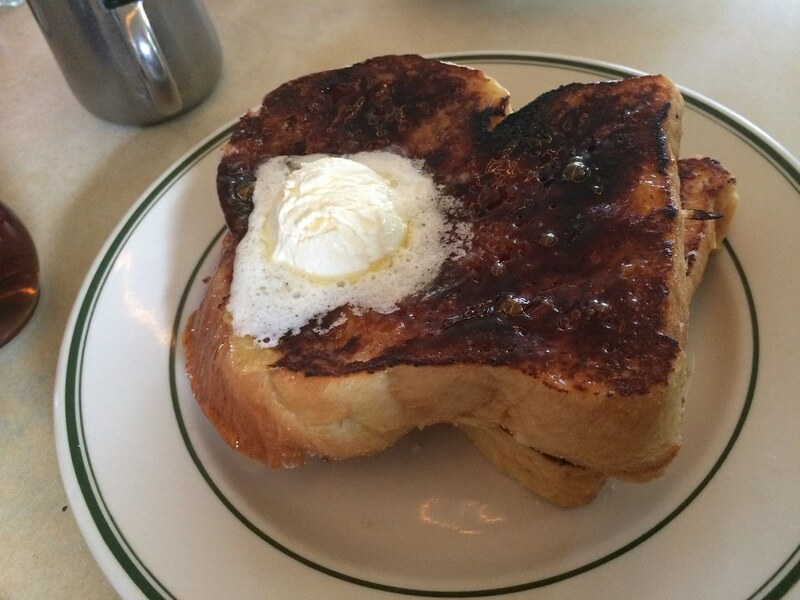 I didn't really understand the appeal of French toast until I had theirs. This is how it's supposed to be - custardy in the middle, crunchy on the edges, and bruleed on top, giving it a crackly, caramelized sweetness. There's a river of butter and real maple syrup. In summary: go, and go early, so you too can enjoy the fabulous diner fare at Palace. Eating out on a Monday and Tuesday night in Portland can cause a bit of head scratching - so many restaurants are closed on these weeknights, especially as we head into relatively slower seasons. Fortunately, Mi Sen Noodle Bar is open on these early weekdays, causing me to land there twice recently for some great noodle dishes. You should head there any night of the week (except Sunday, they're closed) when you're in the mood for some filling, inexpensive, and delicious Thai food. First off, where? 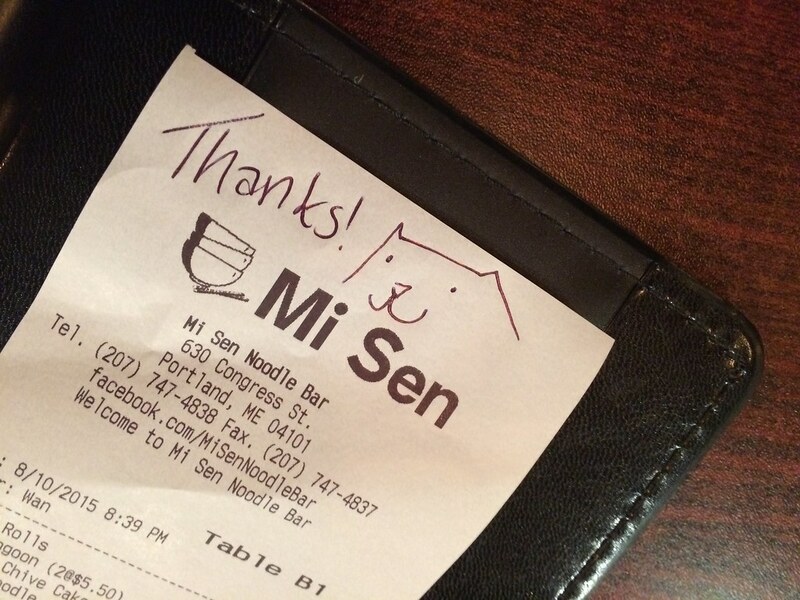 Mi Sen is located at 630 Congress St. in the Arts District, in the strip next to Sun Oriental Market, the post office, and Coffee By Design. Many people struggle to come up with where it is mentally, but I'm sure you've walked or driven by it many times without noticing. The decor is fairly modern for a Thai restaurant - there's definitely Thai touches, but it's bright (a little too bright) and open with black furniture, and mirrors and art on the walls. The menu offers starters, noodle soups, noodle entrees, and rice dishes. The rice dishes are fairly standard selection of curries and larb, but I think the noodle dishes are where it's at. The first time I went we shared several plates of appetizers - the crispy shrimp rolls ($6), adorable triangles of crunchy and sticky chive cakes ($5.45), and the crab rangoon ($5.50) which actually contains identifiable pieces of real crab. On my first visit, I had the Tom Yum with chicken ($5.45/$8.45), a delicious spicy coconut broth with mushrooms and noodles. It comes with cellophane noodles, but you can substitute in any kind of noodle, and they have a wide variety. Our server was happy to recommend a type of noodle for the dish. Someone in the group ordered the dry noodles on our first visit and raved about it, so I ordered it as my entree on my second. And now I'm obsessed with it. It's noodles mixed with a spicy and tangy sauce, topped with bean sprouts, green beans, green onions, cilantro, and ground peanuts. 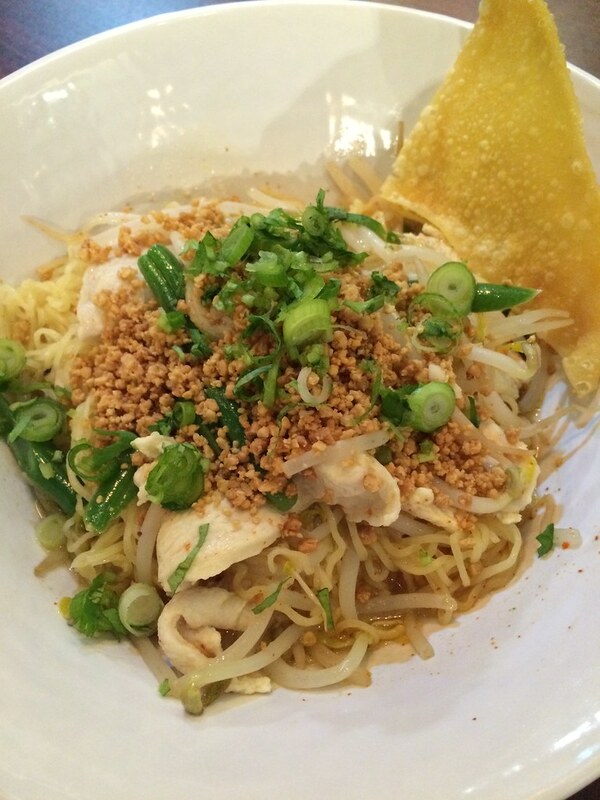 I loved it with the sen ba mee noodles, which are curly egg noodles, like the ones in instant ramen. I can't get enough of the flavors in this dish, plus it's amusing that it's called soupless soup (although there is quite a bit of sauce, so it's not a dry dish). The only misstep I experienced with Mi Sen was the takeout I ordered once - pad thai and larb gai didn't live up to my favorite versions from Vientiane Market. But that's fair - I love those versions so much that they're hard to compete with. 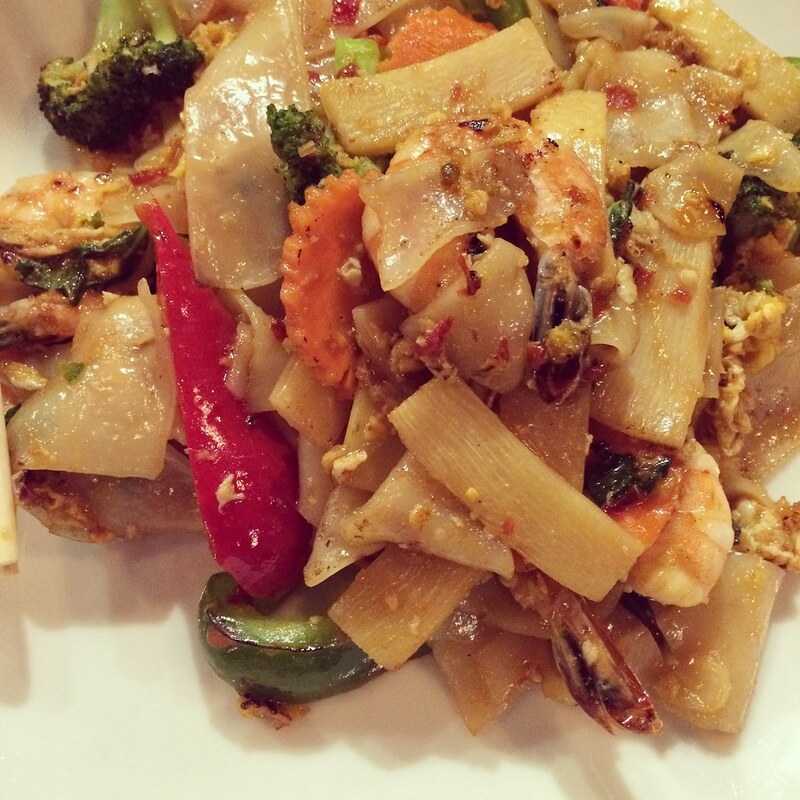 Hit up your favorite Thai takeout joint for your weeknight standards, but head to Mi Sen for their unique (and inexpensive!) noodle dishes. Note: The Velveteen Habit closed permanently in August 2016. At the end of this month, I will have lived in Maine for seven years now (and have written the Blueberry Files for nearly as long!). That's a long time for me to have lived in any one place - and yet there's still so much of this beautiful state to get to know. Particularly when it comes to the stretch of Route One south of Kennebunk and north of Kittery. I've explored Kennebunk and Kennebunkport, as my boyfriend A. is from there and his parents own a beach house there, and I've headed down to Kittery (several times even) with friends just because I'd heard it has a great food scene. But my experiences south of the Kennebunks and north of Kittery are limited to the one, off-season visit I took to Wiggly Bridge Distillery in downtown York, and for whatever reason, Thanksgiving dinner shopping at the IGA in Wells, where I visited the famed Tully's Beer & Wine and had lunch at Las Olas, a great local Chipotle-style Mexican restaurant. But in the summer, it's difficult to want to a) leave Portland and b) wade through the crowds of people that flock to these southern beach towns. All of this is to say, I'd never been to Ogunquit, which I now know to be a cute town, full of shops, restaurants, bars, and much larger than many of its coastal cousins like Kennebunkport, York, Camden, and Belfast. The high concentration of large houses with well-manicured landscaping lets you know that this isn't a rustic fishing village, but one that caters to wealthy out-of-state tourists. But the natural beauty of the area is free and accessible to everyone, and the sweet Perkins Cove area shouldn't be missed with its tiny anchorage jam packed full of lobster boats and suspension pedestrian bridge high over the river. 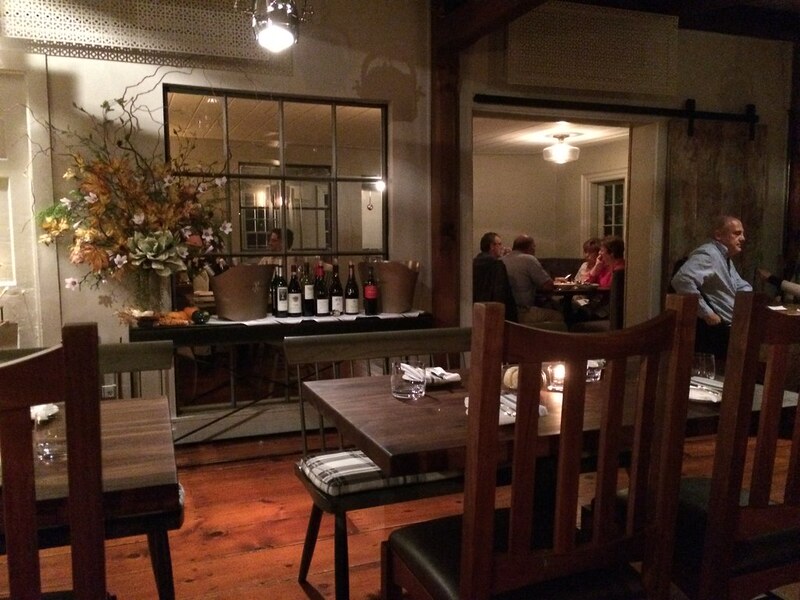 The occasion for my visit was dinner at The Velveteen Habit, a new restaurant in the former Arrows space, which closed in 2013 after 25 years of operation by chefs Mark Gaier and Clark Frasier (the two still own and operate a restaurant nearby in Perkins Cove, as well as a new restaurant in Boston). Owner Ben Goldman opened his restaurant last spring, after some renovation and sprucing up of the old farmhouse that is the restaurant. Like, look how big that window is. That's only ONE HALF of the original window, mind you. Anyways, I should tell you that I was invited to be a guest for dinner (read: did not pay) by the PR company that promotes the Velveteen Habit, and so while my hard earned shekels were not on the line, I hope you know by now that I'm not in the habit of shilling things I don't actually enjoy. Because I am a cheap/broke person, however, when I return, I will be employing my "drinks and apps" strategy that allows me to experience high-end restaurants without leaving me homeless. When A. and I arrived, we were led to our table, through the bar area, where the bar program uses house-infused spirits, syrups, bitters, shrubs, and sodas. We were seated in one of three dining rooms, one that I figured seats about 50 people, with a view into the other two, both smaller and more intimate. For our 8pm dinner reservation, the restaurant was about a quarter full, and never loud at any point - despite the dining rooms being wooden and open, the restaurant didn't feel loud or unpleasantly public. We started with cocktails, of course. A. chose the Whiskey Paramour: Laphroaig, Clement creole shrubb, rosemary honey, and lemon, and I went with the Little Pucker: Pisco, cherry brandy syrup, lemon, and egg white (all speciality cocktails are $12). A. loved his cocktail, but he loves Scotch, so he liked that it had that campfire smoke aftertaste. I'm not a smoky Scotch person, but I still enjoyed my small sip - the smokiness was only in smell and aftertaste, while the citrus and herbal middle were the main flavors. My flip was citrus tart with a cherry sweetness. Other tempting cocktails included Scarborough Fair with Hendrick's gin, sage liqueur, lime, and rosemary honey, and Brooklyn Stop with Bulleit Rye, Domaine Canton (ginger liqueur), ginger syrup, and lime. 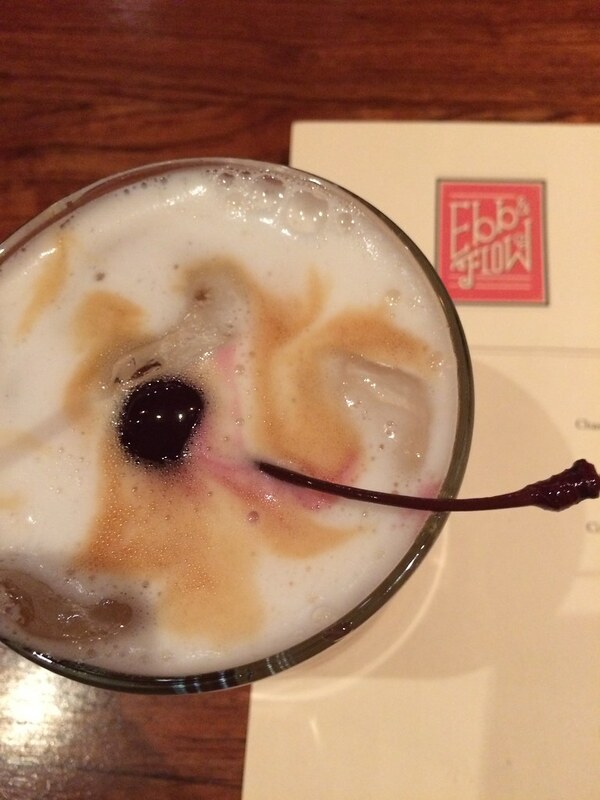 There's also housemade sodas, "sipping spirits" like crabapple rye and coffee liqueur. 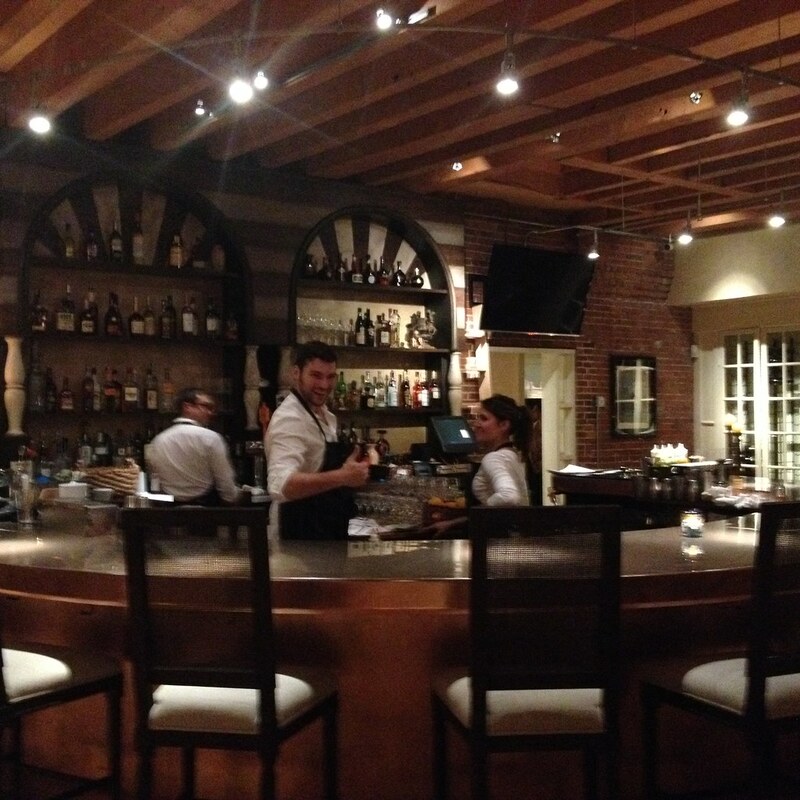 The owner is a certified sommelier, so there's an extensive wine list, as well as local draft beers. 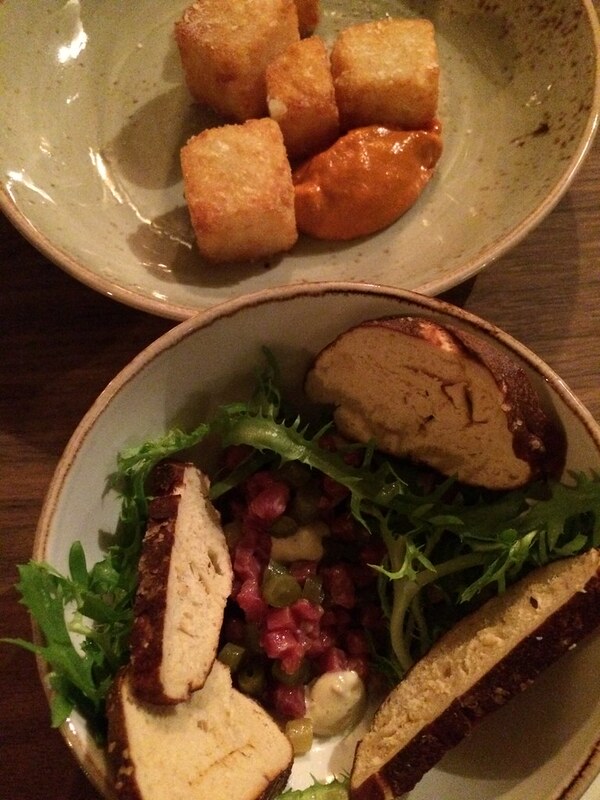 We ordered a few starters, delightfully crunchy tots with bravas sauce ($6) and beef tartare ($12), salty and mixed with chopped dilly beans. TVH has a huge garden on the restaurant grounds, and they pickle, cure, and ferment a lot of produce to use throughout the year. We started off with a cute jar of pickled peppers, cucumbers, and cauliflower ($5), and other pickled veggies appear throughout the menu. TVH also cures and prepares a lot of meats in-house, so we took owner Ben's recommendation to try the chicken liver mousse, with black currant jelly, sliced radishes, almonds and pieces of buttermilk biscuits ($9). 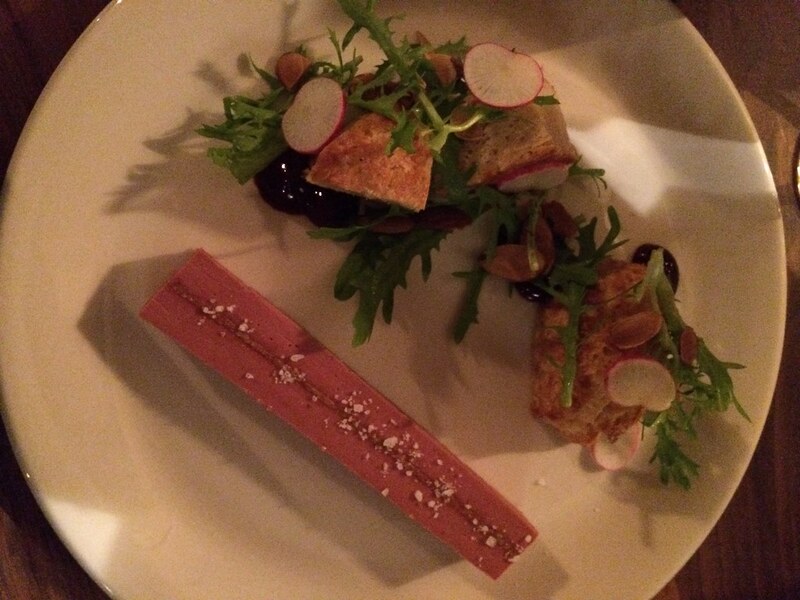 Aside from being a beautiful dish, it was one of our favorites - rich and flavorful as good chicken liver mousse is, with a nice fruit sweetness from the spread, then a great variety of textures from the crunchy radishes and nuts. This easily makes my list of apps to return for. 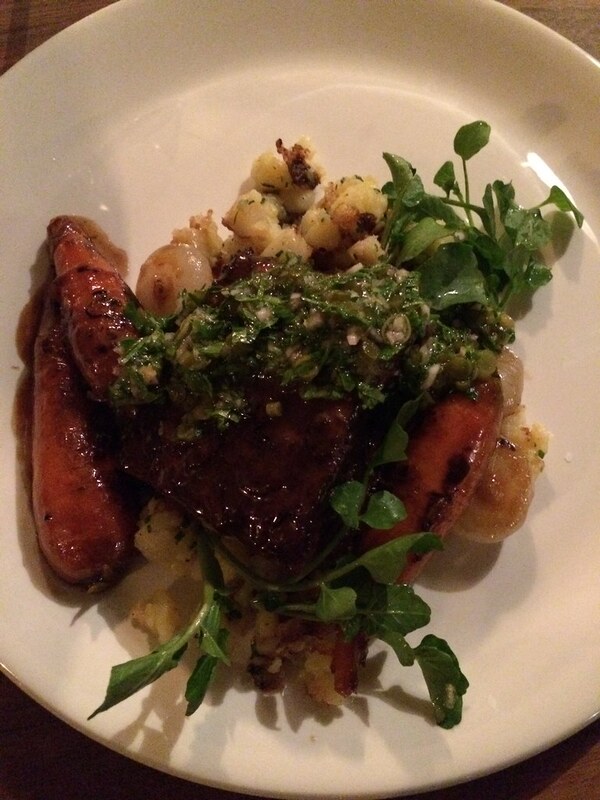 For not having eaten *all* that much, I was getting full by this point, so we opted to share an entree, the smoked beef short rib with olive oil crushed potatoes and pot roast vegetables (aka carrots and cippolini onions) topped with a gremolata ($31). It was a perfect dish for the chilly turn the weather had recently taken - comforting and filling, but yet the garlic-parsley sauce brightened up the dish, keeping it from becoming too rich. The recommended wine pairing - Nero D'Avola - was a nice touch, in that I enjoyed the wine along with the beef; my limited wine knowledge keeps me from being able to say much more than that! Other entree choices include duck with pumpkin and Brussels sprouts, haddock with white beans and bacon, scallops with black rice and turnips, and grits, grilled mushrooms, and hot peppers. We also loved one of the two sides we tried - the roasted mushrooms ($9). They were so simple and delicious. The roasted broccoli with Caesar dressing ($6) was also nice - the dressing was particularly tangy like I like it. For dessert, we went with a reported diner favorite: the chocolate pots de creme or chocolate custard with graham cracker crumbs and cream cheese ice cream (hello). We also sampled a bit of the housemade Bailey's Irish Cream, which was worlds apart from the syrupy sweet, commercial stuff. By this point in the meal, our rich menu choices were starting to add up (shouldn't have overlooked those salads apparently! ), so I had a delicious spoonful and let A. finish the rest off. 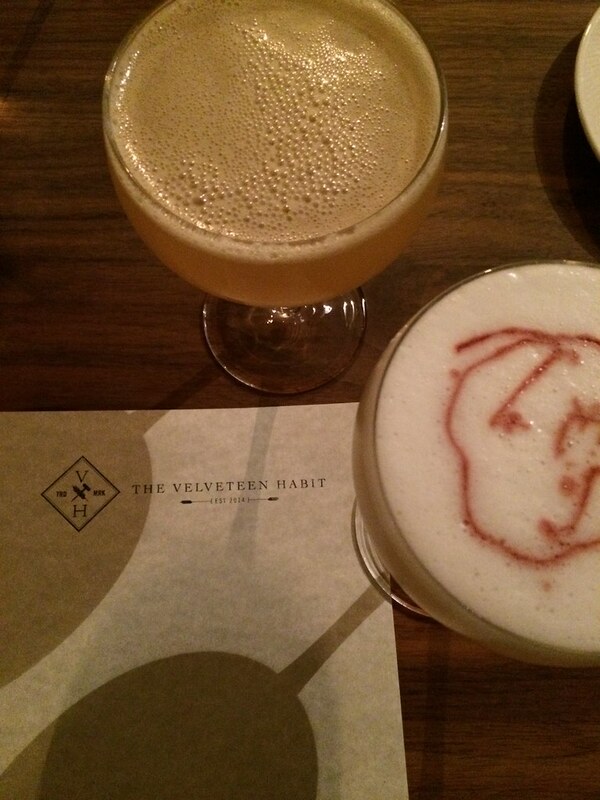 It's probably no surprise we had a great meal at the Velveteen Habit - we enjoyed our food, the drinks, and the whole vibe of the restaurant. I love that they're dedicated to sourcing local meats and produce, and preparing cured meats, preserved vegetables, and infused spirits in house. Now that I know what a beautiful town Ogunquit is, I'll be sure to continue my exploration of this part of southern Maine, with drinks and snacks at the Velveteen Habit to round out my visit. The DISTILLED IN MAINE tour continues! I have book events scheduled through the end of the year, and as you can probably imagine, they're pretty exciting, as they come with the promise of alcohol! 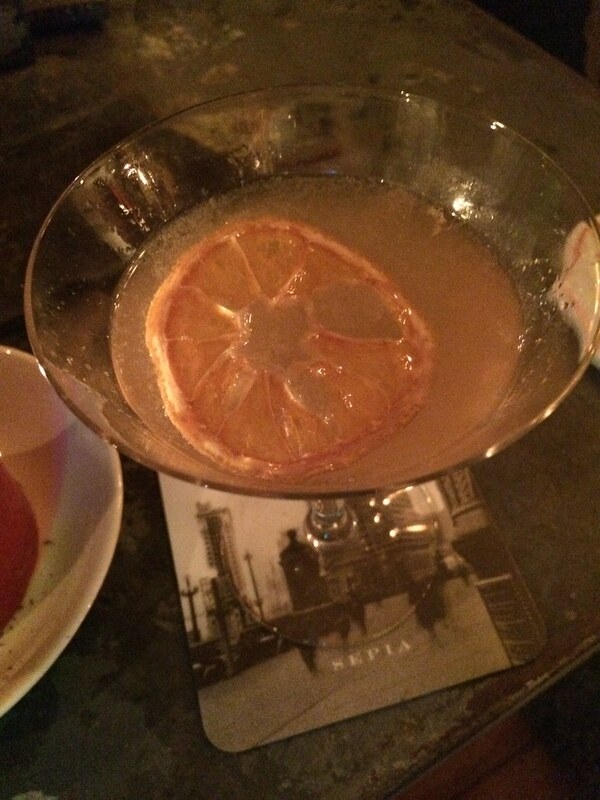 I think a lot more people would excel in the study of American history if it always came with a few cocktails. I've already one under my belt, which went great, at Maine Historical Society, with Steve and Johanna of Vena's Fizz House serving up a delicious gin and grapefruit cocktail they dubbed The Meadow. 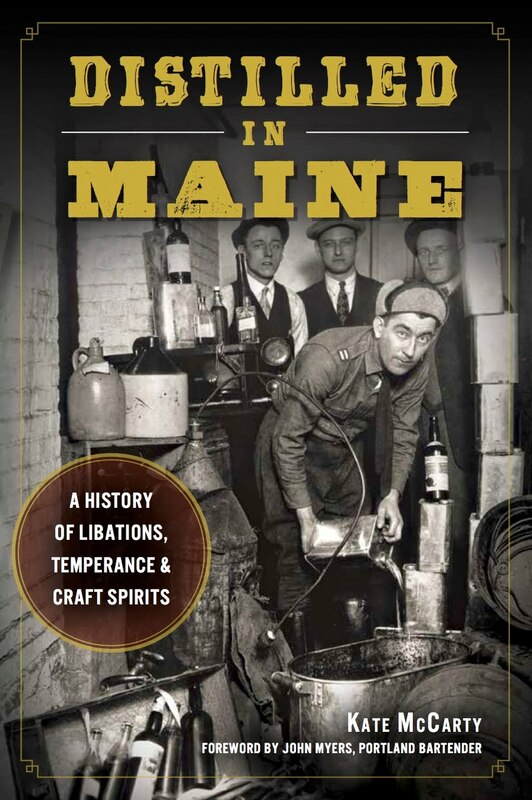 This Friday, I'll be at the Yarmouth History Center at 7pm, giving a talk about the history of alcohol in Maine. The specific cocktails are still being worked out, but they're sure to use Maine-made spirits and be delicious. Samples of Cold River spirits from Maine Distilleries will also be provided. Tickets are $25 for non-members and $20 for members. In a few weeks, I'll be headed down to Kennebunkport to present a workshop with Joel Souza, the bar manager at David's KPT, in partnership with TABLE, the culinary event program of the Kennebunkport Resort Collection. 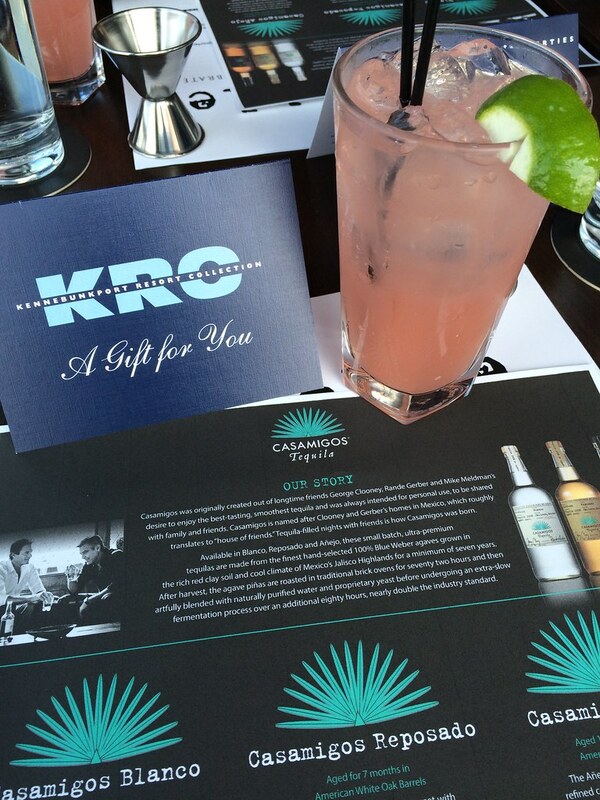 I attended a TABLE tequila mixology workshop back in the spring, led by Joel and a Casamigos rep. We learned about how tequila is made and how to make four tequila-based cocktails. It was a great time - a nice mix of education and delicious drinks, so I'm excited to be part of providing that same experience for a group. I'll be presenting findings from my book's research about the Kennebunks and their history with alcohol, while Joel mixes up related cocktails, on Saturday October 24th at 3pm. Tickets are $35 and include an hour-and-a-half workshop with four cocktails. 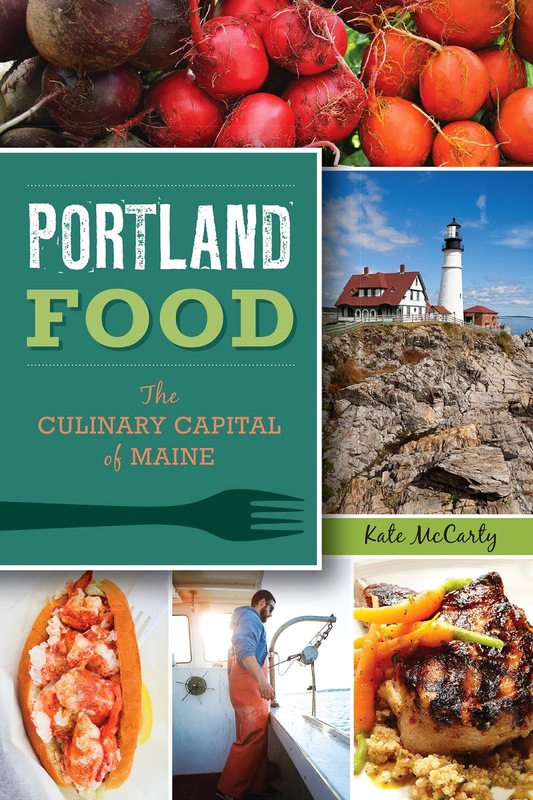 A $50 ticket includes a signed copy of DISTILLED IN MAINE. 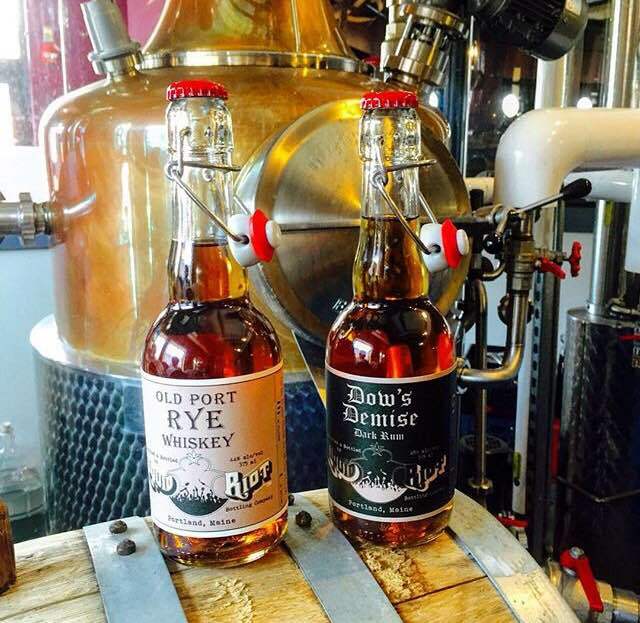 Finally, at the end of the month (on the 27th), the ladies of the Portland Spirits Society are headed to Liquid Riot Bottling Company to nerd out over some whiskey. We'll be learning from Liquid Riot staff about the ingredients used to make whiskey and how they affect the resulting spirits' flavors. We'll sample both Liquid Riot's whiskeys (they have at least 2 that I know of) and some national brands for comparison. Get your tickets soon - I'm thrilled to say that all of the PSS ticketed events have sold out - you ladies are thirsty for whiskey! Tickets to this event include four tasting pours of whiskey and all the knowledge that Liquid Riot staff drops on us - plus the company of other women with such superb tastes as yourself. The seasons have changed here in Maine, both literally as the fall equinox has passed, but more so that the weather caught up with the calendar. Summer stretched through the middle of September, hitting 80*F two weekends ago. So while my friends and I thought we were setting off for the ultimate fall activity, apple picking, we ended up acting as though it were mid-July. We headed out to Limerck, about an hour southwest of Portland in the rural countryside of York County. Our destination was Libby & Son's U-Pick, not for the apples necessarily (since I'm participating in the Out on a Limb apple CSA share again this year), but for the raspberry picking. 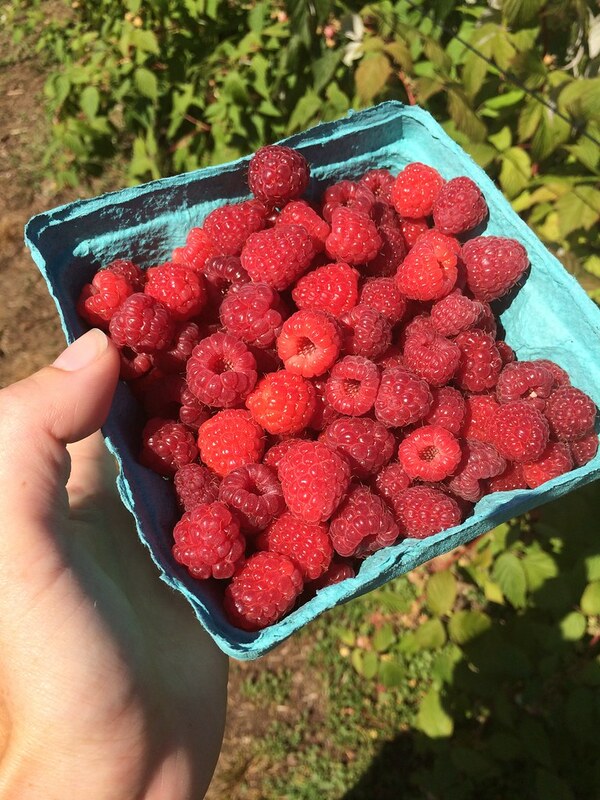 Who knew fall raspberries were so abundant? I always thought they were a weak shadow of their summer fruiting cousins, but at Libby & Son's, we found rows of raspberry canes dripping with ripe berries of all sizes and even a few rows of golden raspberries. We quickly filled a few quarts with berries and then headed back to the farm stand to be ferried off to the apple trees. Apple picking is a convenient excuse to eat apple pastries - first and foremost, the apple cider donut. The ones at Libby's are very dense and almost like they're undercooked (they're not, they're just very moist inside). We devoured them quickly before heading out to wander amongst the apple trees. After the orchard, we swam in the Saco River and then headed to Funky Bow Brewery to enjoy a beer in the late afternoon sunshine. Turns out it was Funky Fest with 10 York County breweries, food trucks, and live music. We were just in for a pint, so we had the brewery's yard all to ourselves. We stretched out on lawn chairs and sipped G String pale ales. 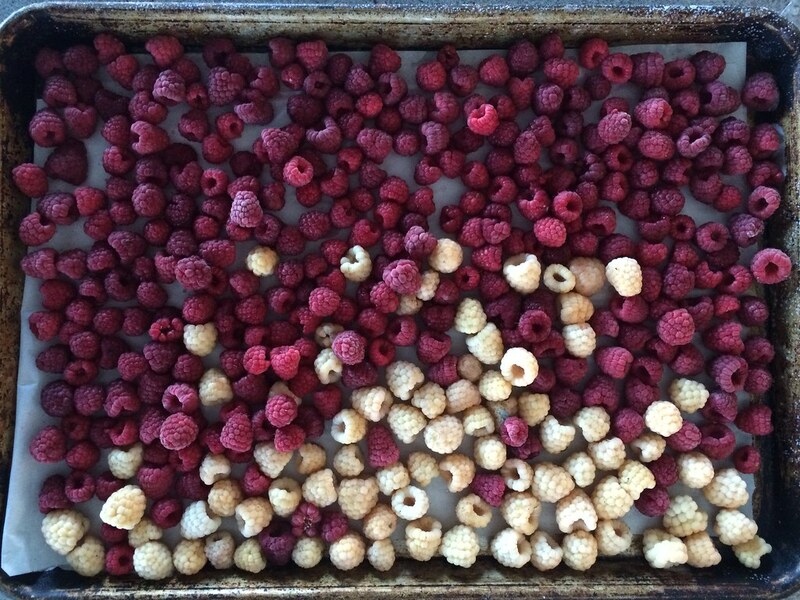 At home, I froze my raspberries for making into jam, smoothies, and pie at a later date. While the golden raspberries taste the same as red ones and were harder to pick (think about it, how do you tell if a golden raspberry is ripe when the unripe ones are white too? ), they are beautiful when mixed in with the red ones. 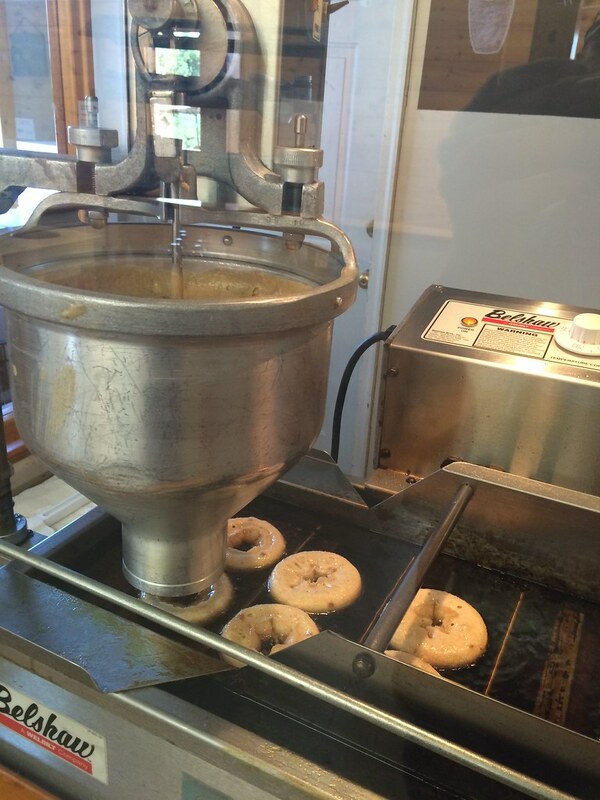 I loved the experience at Libby and Son's, but there's many an orchard in Maine that fries up apple cider donuts. I even went so far as to contribute a map to Eater Maine comprised of all of the recommendations I received for the area's best ones. My first donut map for Eater prompted me to make some detours during my work travels to some of the recommended spots - first, Congdon's in Wells, a very old school "family restaurant" and bakery. I figured I'd shoot the moon and get a half dozen - I entertained the thought of eating only half of a raised donut so I could enjoy half of a different flavor too, but I ended up scarfing the whole thing without a second thought. I shared the other flavors, which received rave reviews as well. 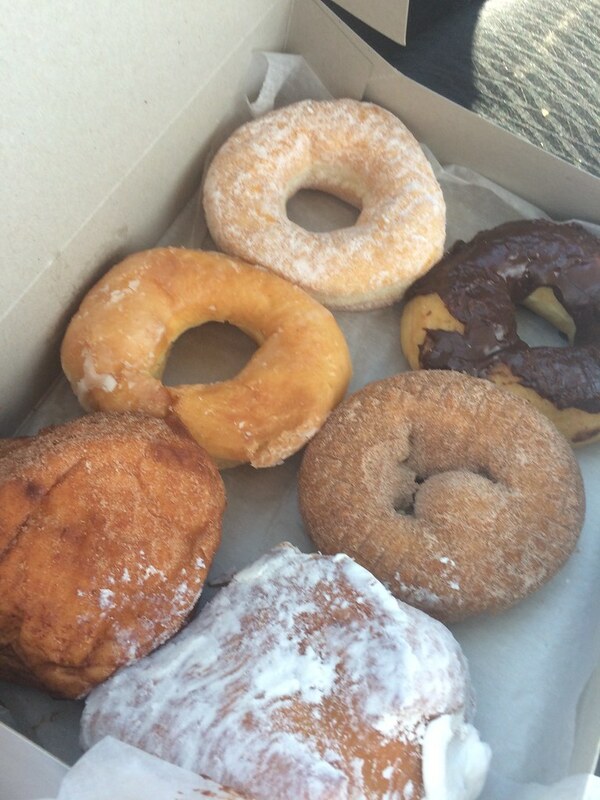 A day trip to Kittery allowed me to go by Lil's Cafe on the foreside and get a glazed cruller. I've heard so much about these eggy pastries, but have only ever gone to Kittery at night when the cafe is closed. 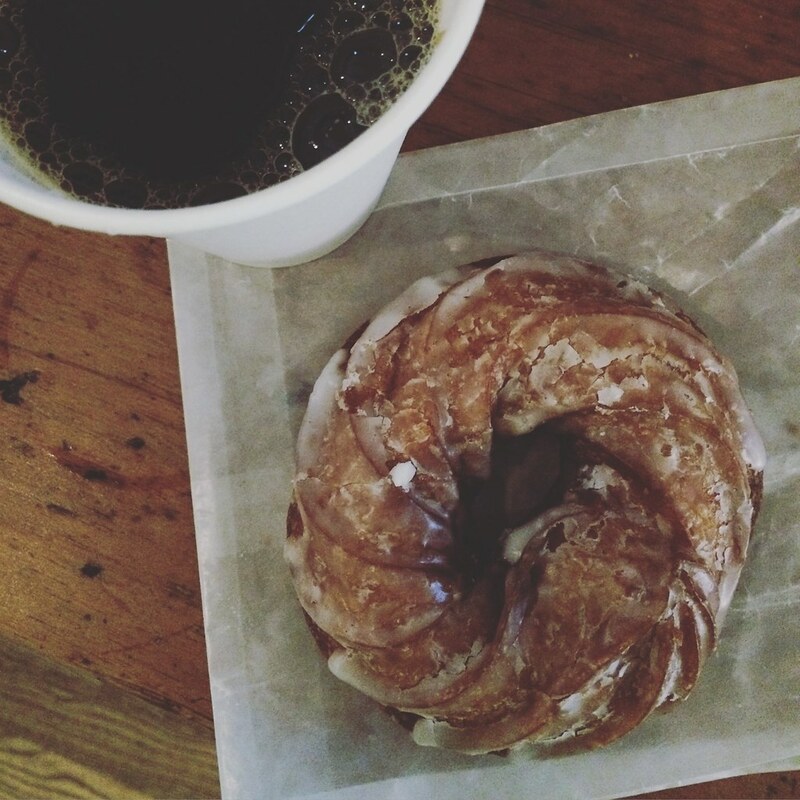 The cruller did indeed deliver a great combination of crispy fried exterior with a shockingly sweet glaze. Next I'm off to Thompson's Orchard in New Gloucester to check out their apple cider donuts, this time on a fall adventure that now has the weather to match. Football season has returned! And while it's a strange time of year when football and sailing season overlap, I so enjoy the return of fall Sundays spent inside watching TV, eating hearty football fare, and drinking a few beers in the afternoon. This past Sunday was actually not sailing weather out on Casco Bay, so we were free to enjoy the games guilt-free. As has become an annual tradition, we harvested our garden's jalapeno plant and made poppers out of our spicy, bountiful pepper harvest. 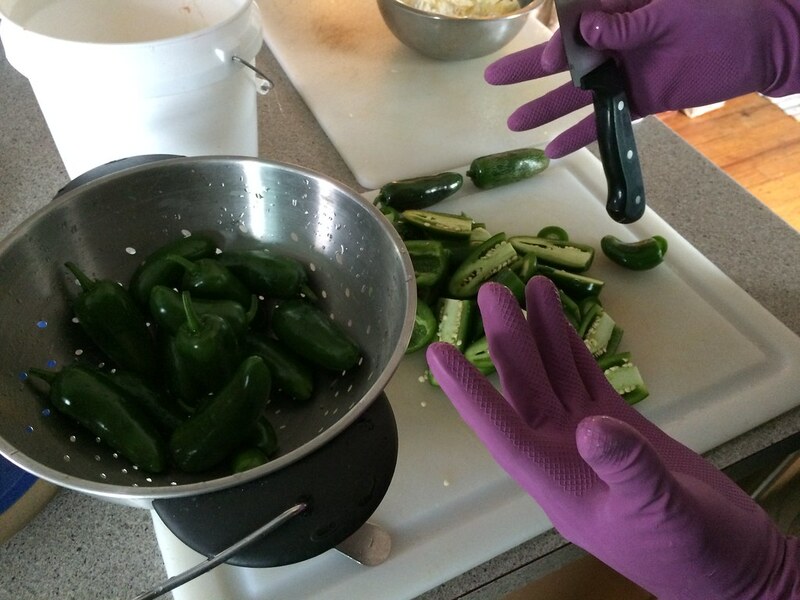 Purple gloves and jalapeno poppers means football - go Ravens! First, A. squeezed his man hands into my gloves and began preparing the peppers - slicing and deseeding them. I prepared the filling of cream cheese and shredded cheddar. 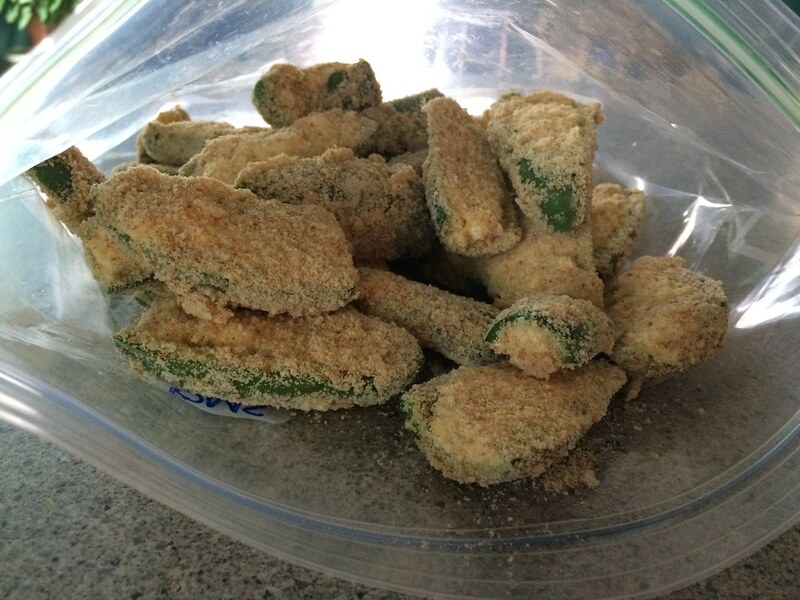 Is it just me, or is the availability of cream cheese-filled jalapeno poppers diminishing? I have no time for cheddar cheese-filled peppers; the one true, correct option for stuffing spicy peppers with is cream cheese. We then just coat the stuffed peppers in egg wash and breadcrumbs and freeze some for future football games. Just thinking about a freezer full of poppers for snowy football Sundays makes me feel cozy. 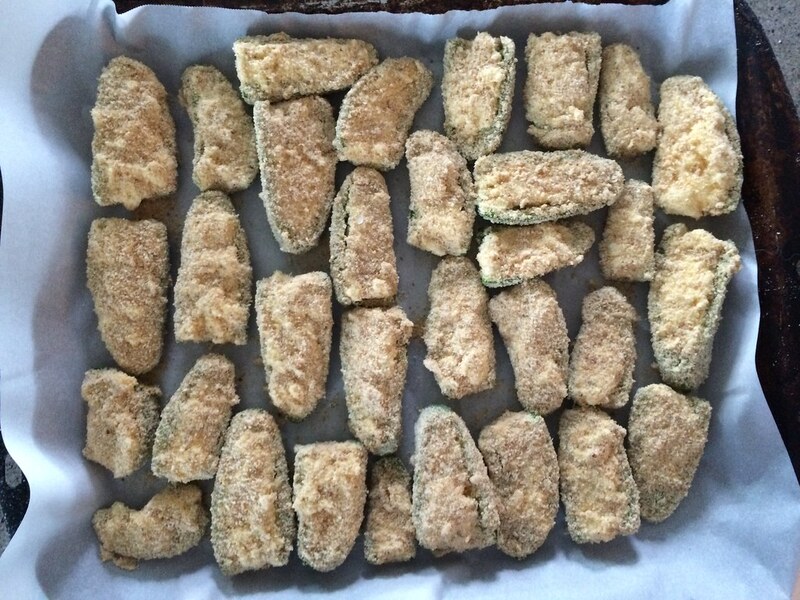 While frying is obviously the best way to cook a jalapeno popper, baking is a nice sane substitute. (Maybe Santa will bring me a Fry Daddy? Hello, football Santa?) Bake them at 350*F for about 30-40 minutes, or until golden and some have started to ooze. Try topping your poppers with seedless raspberry or blackberry jam - far superior to serving them with sour cream or Ranch dressing, since that verges on creaminess overkill. 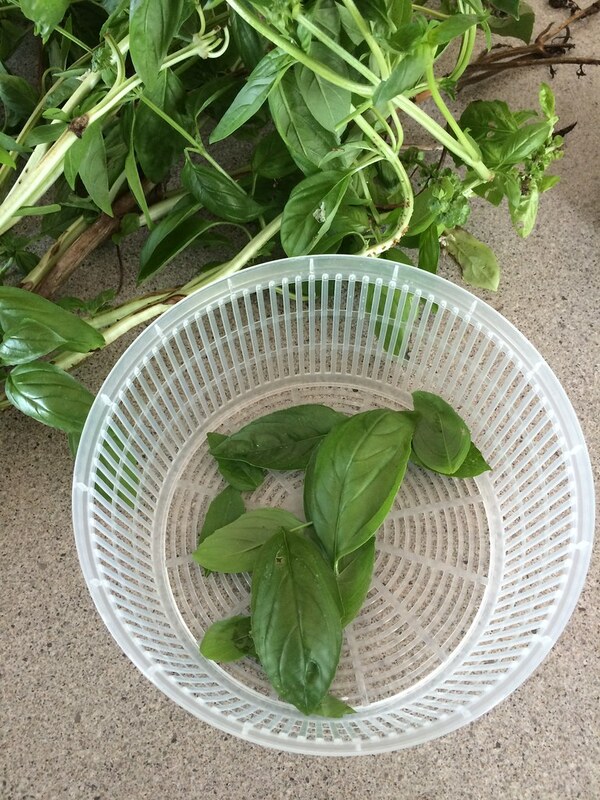 I also pulled up half of my gigantic basil plant (tree) to make some pesto for the freezer. I whizzed up a relatively small batch (about a cup) in my food processor with Parmesan, walnuts, garlic, and olive oil. But there's still tons left in the garden, so I'll make another batch and freeze it...but then what? I don't find pesto heats well (cheese melts, the oil breaks) and it often becomes mealy in the freezer. I don't particularly enjoy pasta salads tossed with pesto - they're always dry and lacking. Which is too bad, because when it's fresh, basil pesto is amazing. If you have good pesto uses, please let me know! 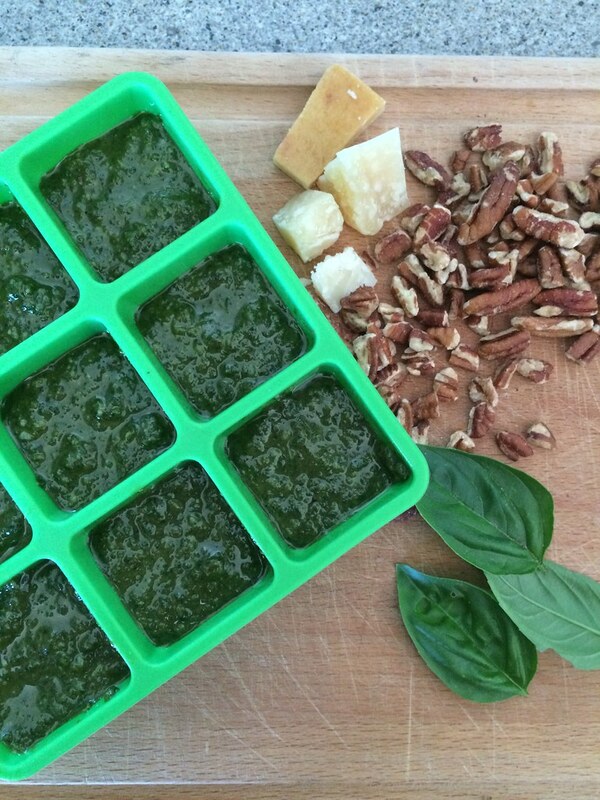 These frozen herb silicone starter trays are made by Ball and are available online or in some big box stores. You can also use an ice cube tray - either way, I transfer the cubes to a freezer-grade plastic ziptop bag, labeled and dated, after they're frozen. Business up front, party in the back! 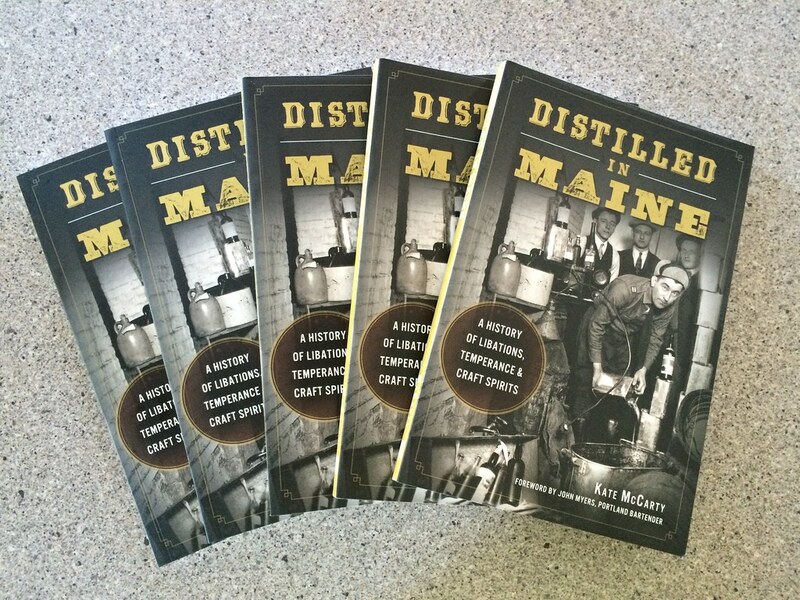 Tonight, I'll be at Boothbay Craft Brewing for trivia night from 4:30-8pm with copies of my book DISTILLED IN MAINE for sale. Tomorrow night, I'm reading and giving a talk about the book at the Maine Historical Society at 5:30pm. Steve from Vena's Fizz House will be mixing up cocktails using a local spirit. Tickets are $10-15. Next, I'm coordinating a very exciting Portland Spirits Society (a group of women interested in learning about booze) event - a Bourbon and boozy chocolate truffle tasting with restaurant Grace and Dean's Sweets on October 1st at 6pm. The tickets are $25 (plus service fees) and include four samples of Bourbon and chocolate truffles. Spots are limited and tickets are going fast, so get yours soon if you're interested! Ladies only, please. Now onto some recent food projects... my kombucha is finally finished! It tastes great, but it's not as fizzy as the store-bought stuff, so if anyone has any tips about a secondary fermentation, hit me up. When we last chatted about kombucha, that intriguing, tangy fermented tea drink, I was growing my own SCOBY or starter from a batch of store-bought booch. Well, grow it did, and after a week, I had a new SCOBY that was ready to go. I followed the recipe from Drink the Harvest by Nan K. Chase and DeNeice C. Guest, a beautifully done book that details how to make meads, ciders, syrups, and juices from fresh fruit and herbs. Once I grew the SCOBY, I was ready to make the actual kombucha. To start, I brewed a batch of strong tea (2 cups of water, 8 organic black tea bags) and stirred in a cup of white sugar to the hot tea. I then let it cool down to room temperature and added 2 quarts (8 cups) of filtered water. 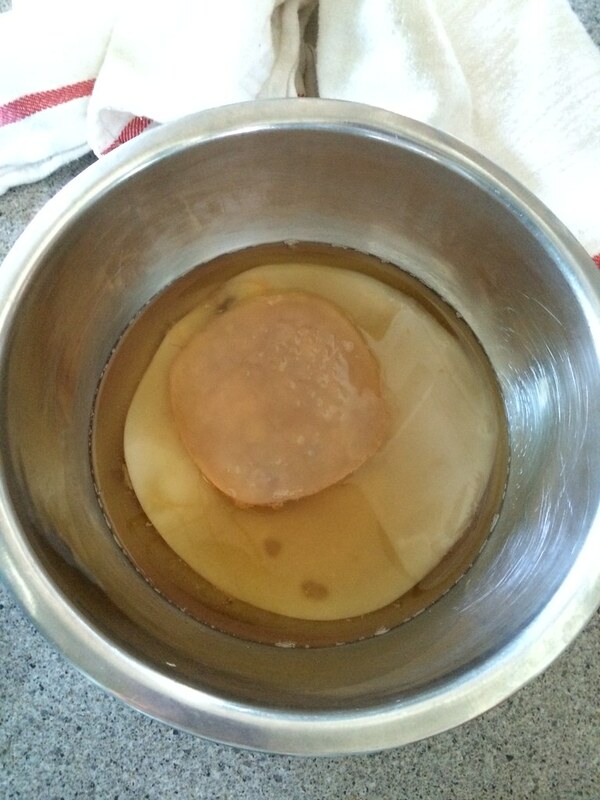 Above, you can see the first kombucha SCOBY I grew, over top of the one that grew in my one-gallon container. SCOBYs will grow to fit the container they're in, and so the second one is very wide. They're both in a cup of kombucha that I reserved, in a jar in my fridge, waiting until I need to make another eight cups of kombucha. After ten days of fermenting, I tasted the kombucha and found it to be pretty tangy like I like it. I strained out the SCOBYs (reserving one cup of kombucha to go with them) then filled three quart jars with kombucha. I was hoping to achieve a secondary fermentation in order to make it a little carbonated by adding a bit of honey and letting it sit, covered, at room temperature. Alas, no significant carbonation built up, so I strained it again and transferred it to the fridge for storage. 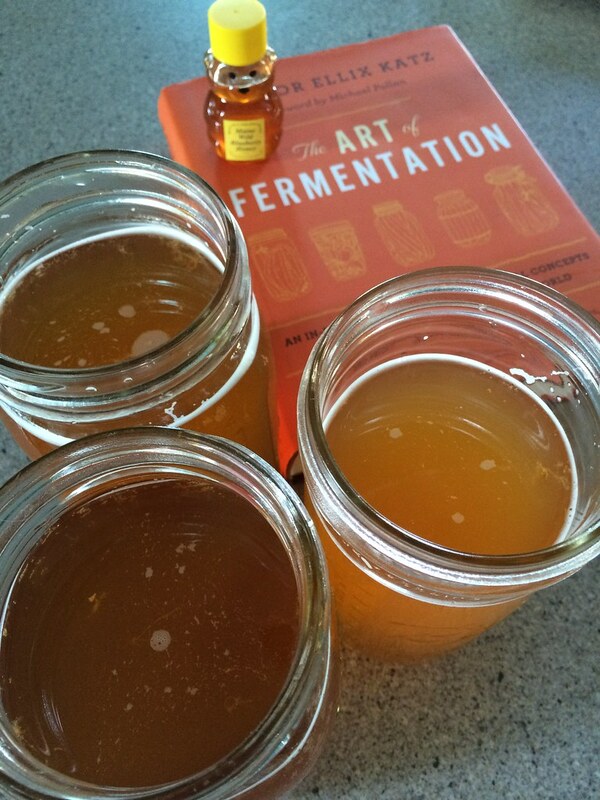 I added a bit of honey to the jars for my secondary fermentation, as suggest in The Art of Fermentation, hoping the kombucha yeast/bacteria would eat up the honey and produce some fizz. But I also read that kombucha needs sugar, not honey, to ferment, so maybe I should have added sugar instead. Finally, I added some blueberry juice from Worcester's Wild Blueberries, to one of the jars, sent to me in my Box of Maine, a box of Maine-made goodies. I was thrilled to remember I had the juice in my fridge, because making fruit juice seemed like a daunting hurdle and probably wouldn't have happened. But now I have plain and blueberry homemade kombucha! Boil two cups of water to a boil, and stir in sugar. Stir to dissolve. Add tea bags and let steep for 10 minutes. Remove tea bags and pour tea into a glass jar or ceramic crock with at least a half-gallon capacity. Add two quarts water and let cool to room temperature. Add SCOBY and reserved kombucha to the tea. Cover and let stand for 7-10 days. Begin to taste kombucha after one week. When the flavor is to your liking, remove SCOBY and 1 cup of kombucha for your next batch. 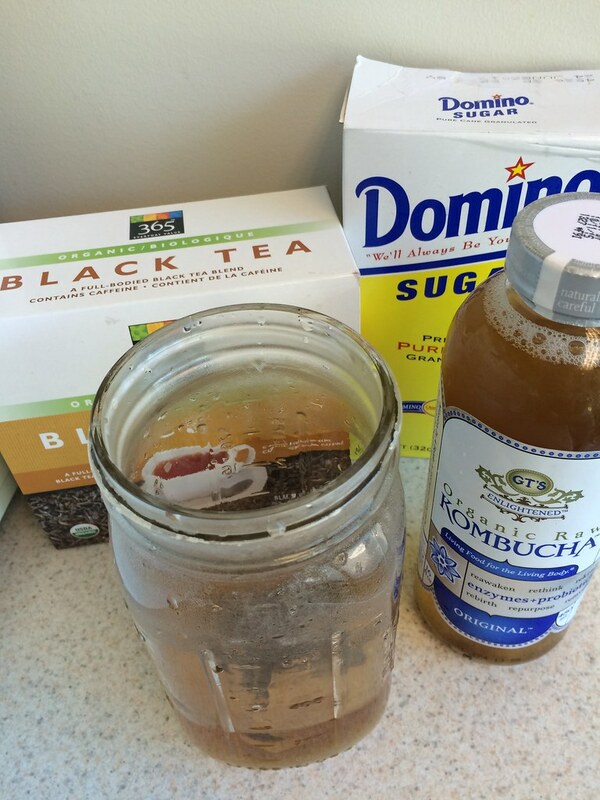 Filter kombucha and pour into jars or bottles. Add in 1/2-1 cup of fruit juice, a few tablespoons dried herbs, or a handful of fresh herbs for flavor, if desired. Keep in the refrigerator and use within one month. After vacation, I returned home to crisper drawers full of CSA vegetables. I guess I'd hoped they'd magically disappear while I was gone? Fortunately, none of them had liquefied, but they needed to be moved along, and fast. After all, there was another share arriving in short order. 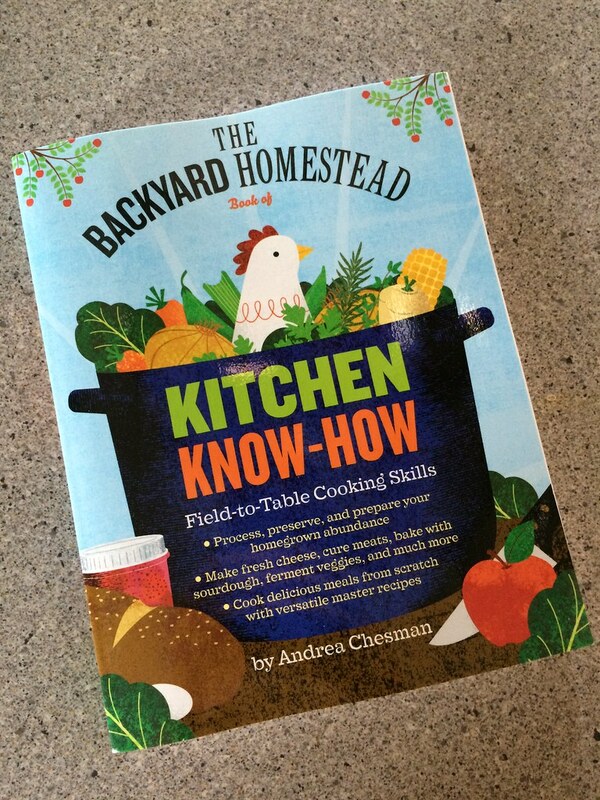 Flipping through my new copy of The Backyard Homestead: Kitchen Know-How by Andrea Chesman, inspiration struck. 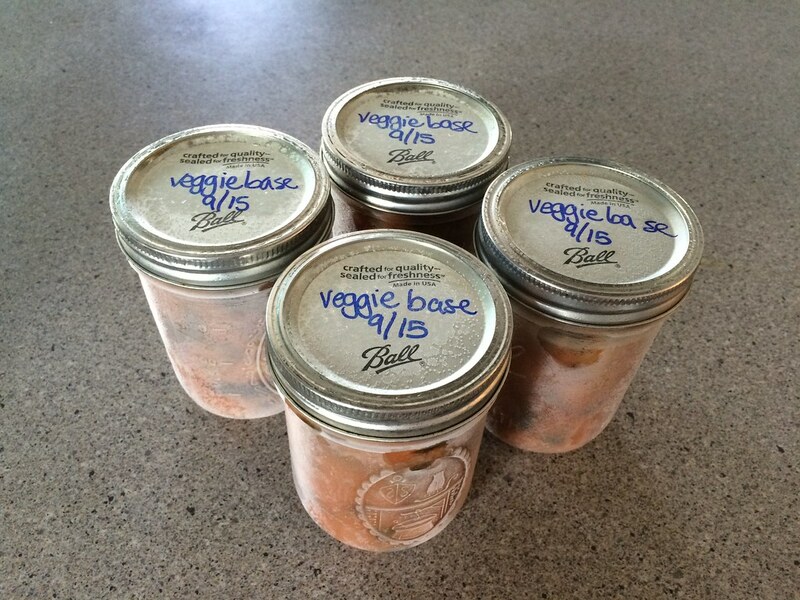 She has a recipe for a vegetable base that uses up 8 cups of vegetables and stocks your freezer for future meals. I chopped up every soup-related vegetable I could find: onions, celery, carrots, sweet peppers, summer squash, fennel, garlic scapes, and Swiss chard. I sauteed it until crisp-tender in a large stockpot, then added about two cups of tomato puree that I'd made in a separate pot with my garden tomatoes. The whole thing made about four pints, or eight cups, of what I'm calling vegetable base. It's thick, so I can see diluting it with stock and adding beans, lentils, potatoes, and/or meat to make soup or just thawing it and serving it over some grain like couscous or quinoa, again with beans or meat. I don't know why, but I felt so damn satisfied that I'd managed to get rid of heaps of produce in such a short time and in a way that I really feel like I'll use come cooler weather. Give it a whirl! Disclosure: I received complimentary copies of both books I mention as review copies, as well as a free sample of the Box of Maine service.